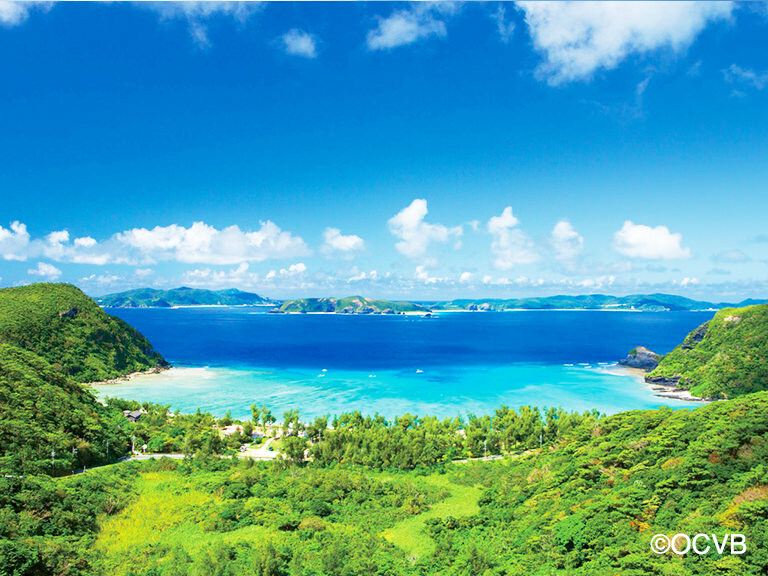 Win and Travel the Islands of Okinawa Choose your destiny at Japan’s most tropical destination and WIN! 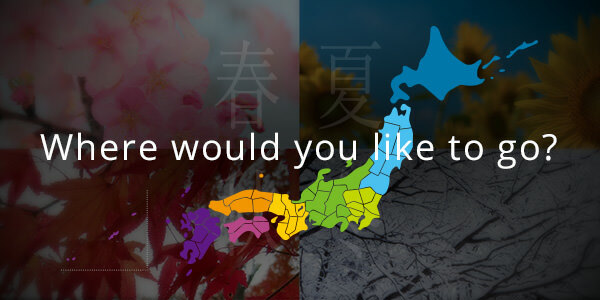 | G'Day Japan! Okinawa is Japan’s very own subtropical island destination down south, made up of 160 or so islands and packed with natural beauty. From crystal clear waters, mystical forests, to delicious local food and perfect beer-drinking climate, Okinawa is perhaps the most perfect place for Australians to visit in Japan. The people of Okinawa want more Aussies to get to know them and their gorgeous islands. We invite you to tell us how and what you would like to experience in Okinawa for a chance to win a fantastic prize. 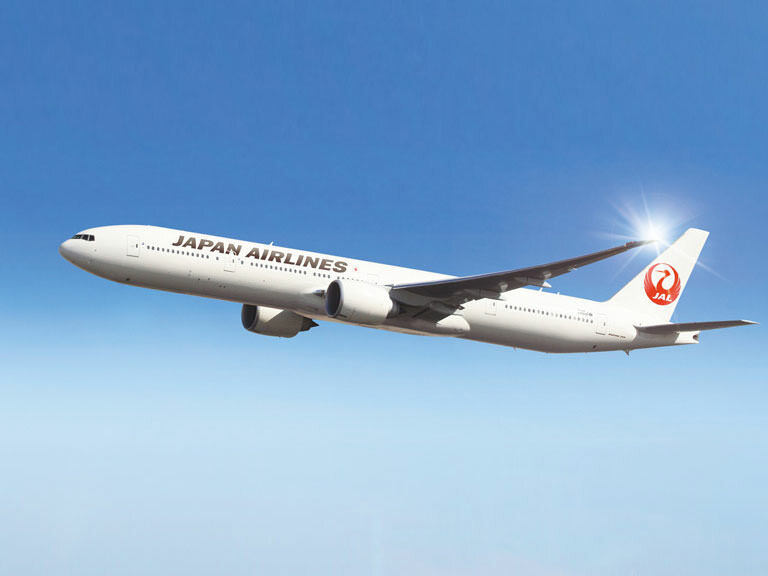 The package includes; return flights to Japan with connecting flights to Okinawa, accommodation so you can go and experience the tour that you helped to design! 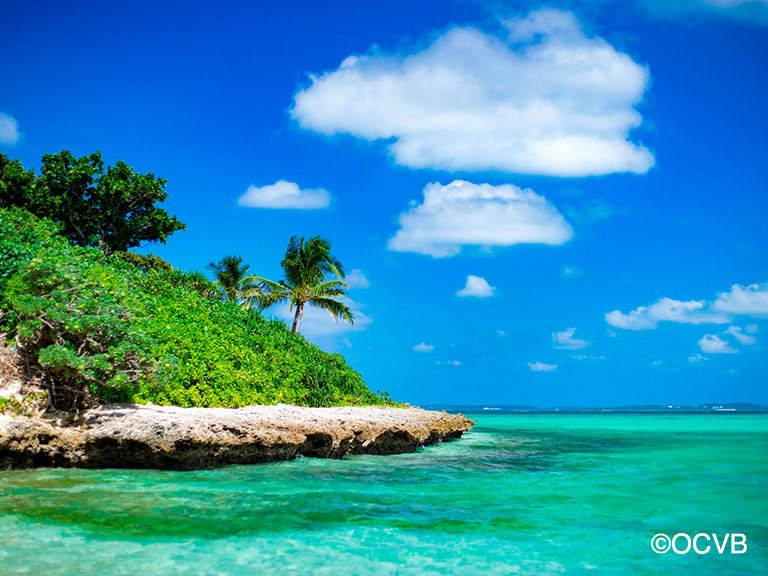 So if you’re ready to go on a tropical holiday, keep reading and share your thoughts with us! 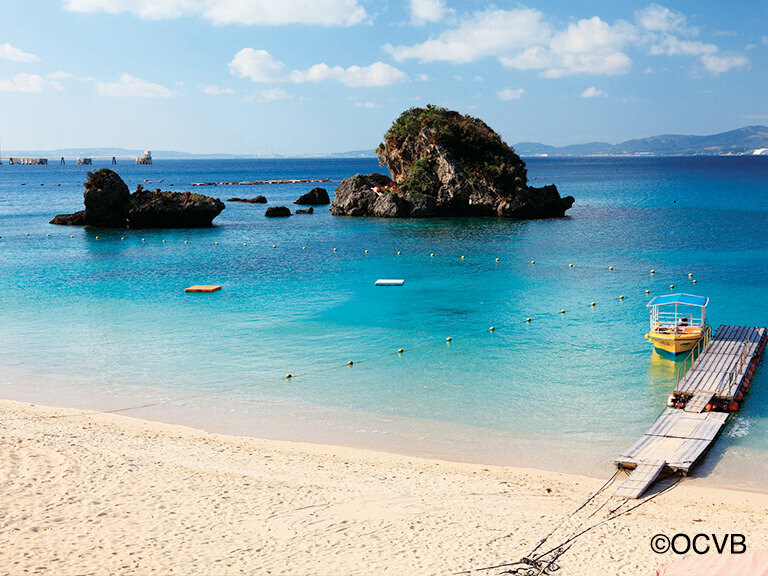 Simple, natural and gorgeous: these three words perfectly describe Okinawa. It was originally a country separate to Japan, known as the Ryukyu Kingdom, and it still is unlike anywhere else in Japan or the world. Okinawa has its own ancient culture that was created with Southeast Asian influence, as well as Japanese and American influences later on. 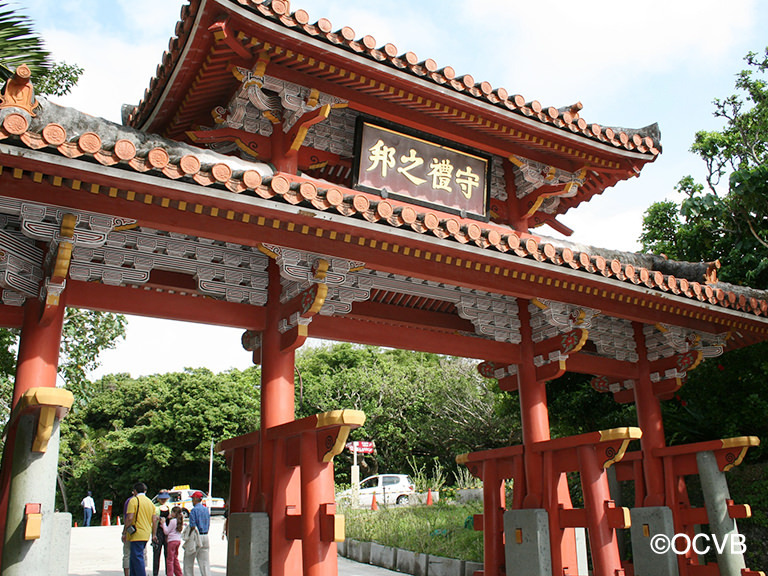 But the multiculturalism that built Okinawa to what it is today is only one of many charms of Okinawa. You can explore its history and culture by visiting gorgeous sites like the Shurijo Castle. This is a brightly coloured and decorated castle, that has been rebuilt and modelled from the original one of Ryukyu Kingdom era, and it’s a must visit on a trip to Okinawa. The traditional architecture of Okinawa is different to what you’d see on mainland Japan and not just at historical sites. 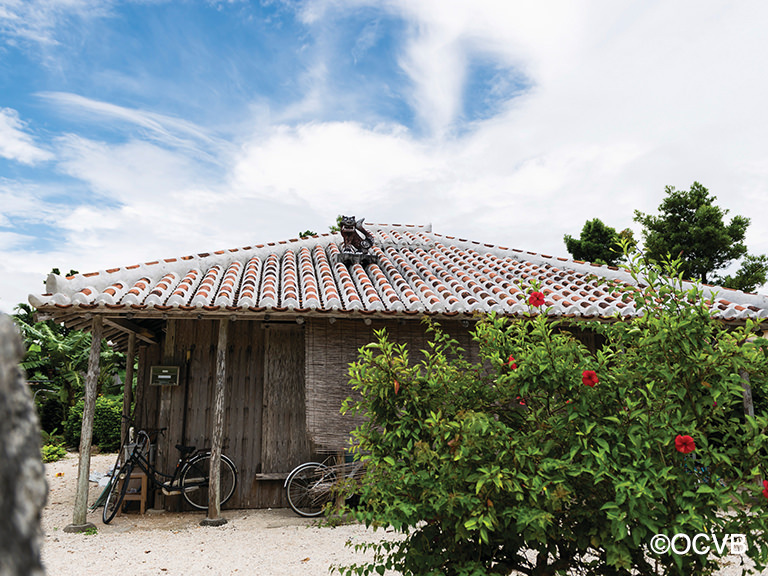 On many of the outer islands you’ll pass by traditional style houses with stone walls and Okinawan gargoyles, known as the Shisa taking guard on the roof. The people of Okinawa is the best part of Okinawa. They are warm, friendly and have a deep love for nature and their lands, and they enjoy the slow island lifestyles they lead. 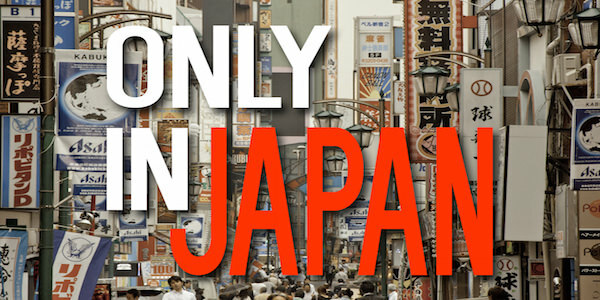 Okinawa is world famous for being home to many of the longest living people in the world. 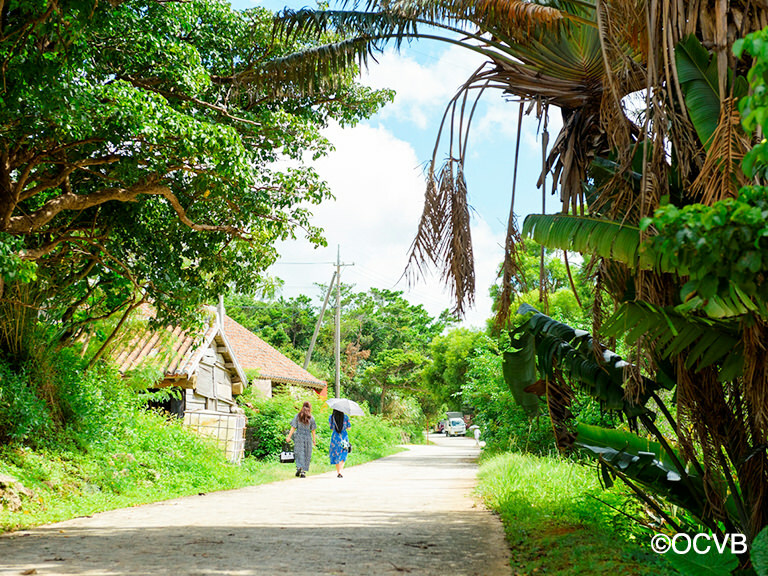 The locals will tell you that their longevity is all thanks to their food and lifestyle. 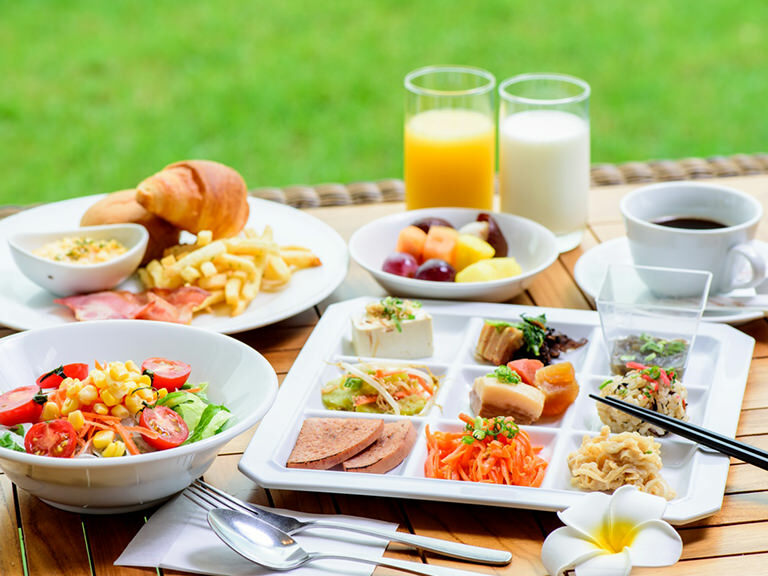 The healthy, delicious and unique local foods of Okinawa will have you falling deeper in love with Okinawa, especially if you get to share the table with some locals. 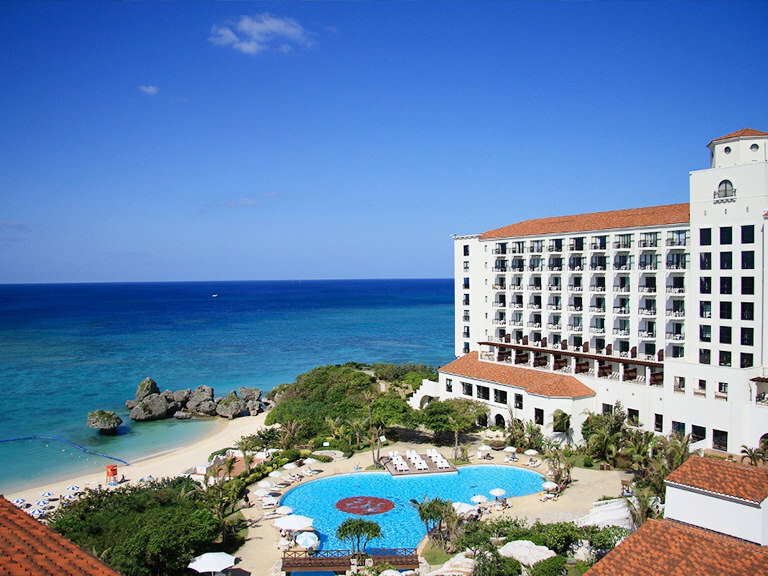 It would be remiss if there was no mention of the stunning waters that surround the coasts of Okinawa’s many islands. 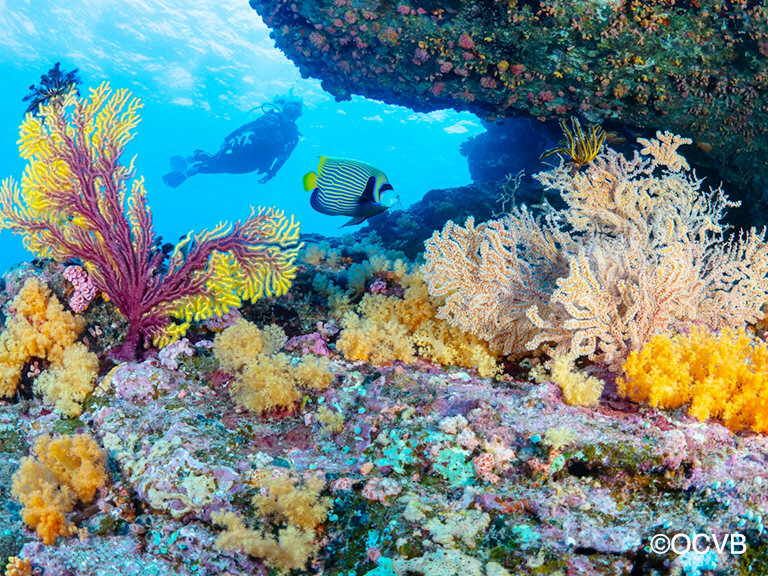 Divers and ocean lovers from all around the world come to Okinawa to swim amongst vibrantly coloured coral reefs and sea creatures like Sea Turtles and Hammerhead Sharks! Hopping form one island to another, you’ll not only discover all sorts of beautiful seascape but also fantastic subtropical landscapes that feature ancient caves and dense, mystical forests. 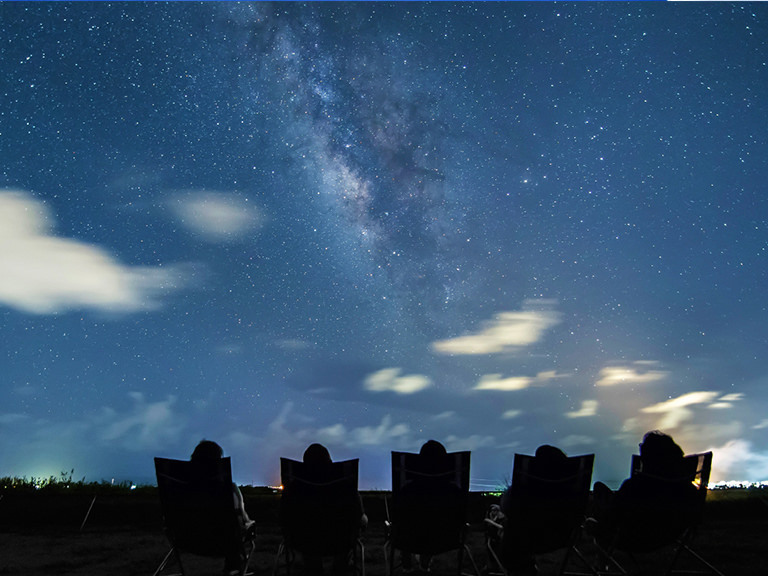 Any amount of time spent in Okinawa will certainly provide you with the relaxing simplicity of island life, the healing atmosphere abundant with nature and gorgeous memories to take home through food, culture, nature and much more! 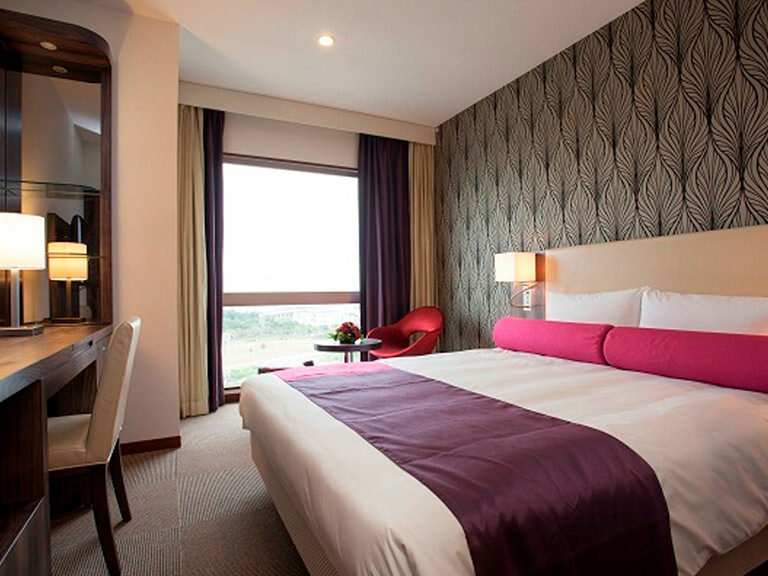 The Lucky Winner will WIN Return Flights to Japan and Accommodation Voucher for TWO! Summer arrives early in Okinawa around the beginning of April. Temperatures rise to an average of 23 degrees and above, and beaches around the islands open for business at this time as well. 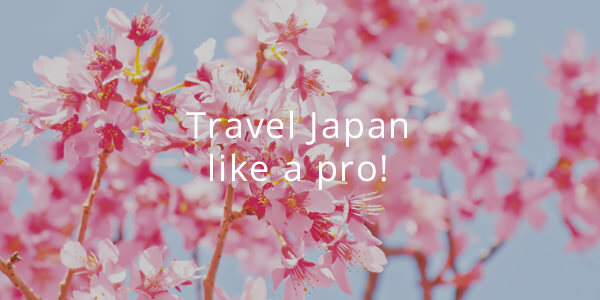 Please note travel within Australia and within Japan (to the exception of the return domestic flights between Tokyo-Okinawa) as well as fees for activities is not covered by the prize. 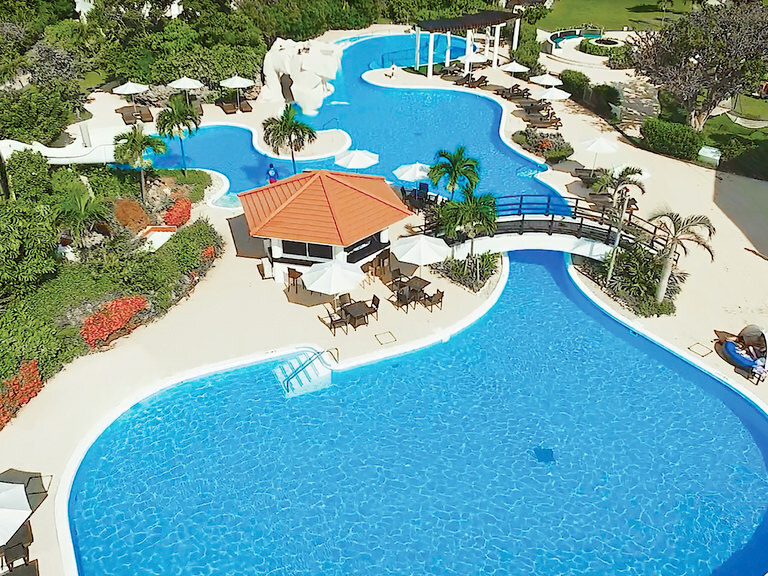 *Please note the accommodation won with the prize will be determined depending on room availability and the activities in the winning itinerary. It may be a hotel not listed below. Okinawa city is a multicultural place where Okinawan, Japanese and American culture are interlayered and creates a unique experience unlike anywhere else in Japan. 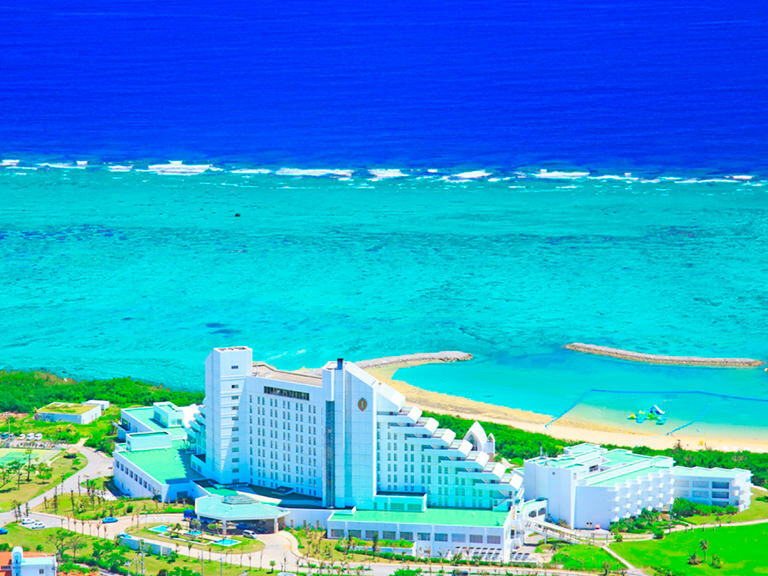 The Okinawa Grand Mer Resort is located right in the middle of this, which means guests get to enjoy all sorts of eateries and townscapes in the surrounding area. 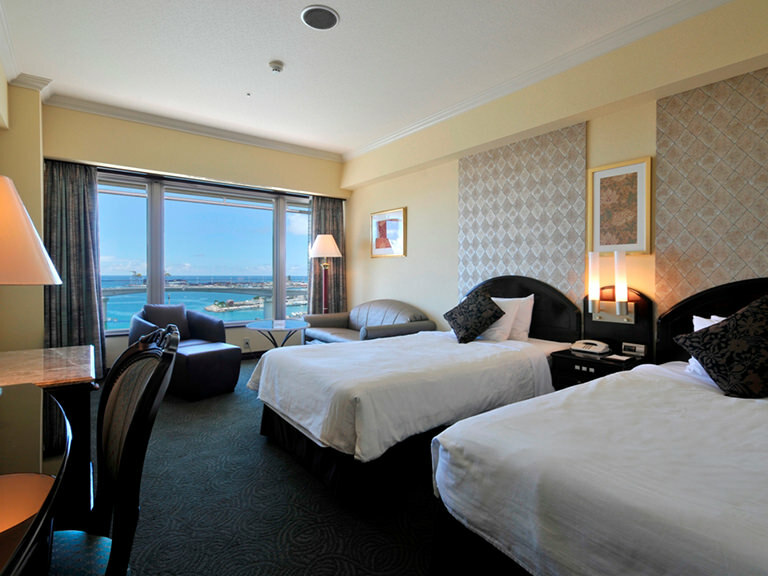 The location provides easy access to all areas of the main island, including the Churaumi Aquarium up north. 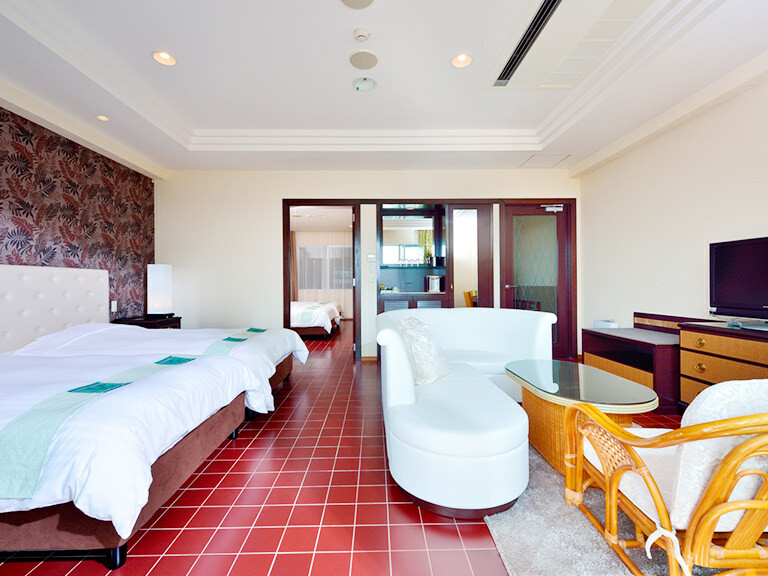 Situated in a prime location, providing you with easy access to the rest of Okinawa! The hotel is facing a port that will connect you to large ferries that go between the outer islands and the main island. 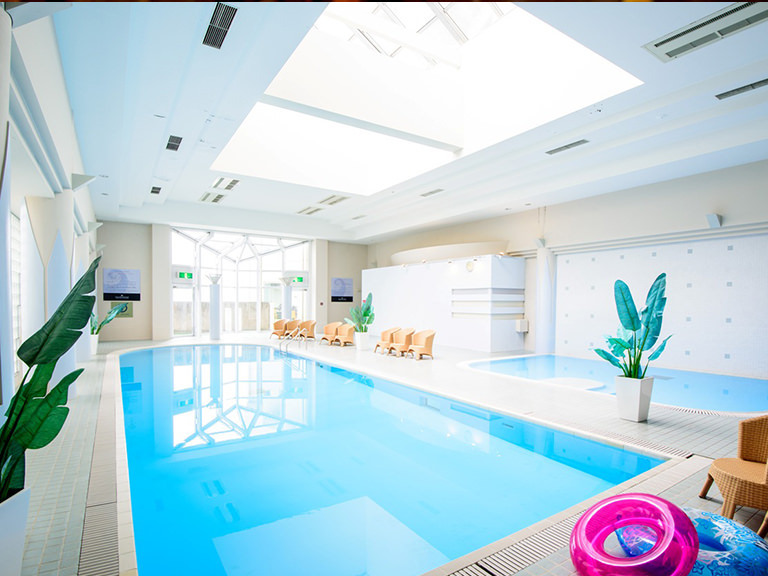 Popular areas like Kokusai-dori street, the First Makishi Public Market and the monorail station to Shurijo Castle are all within walking distance from the hotel as well. 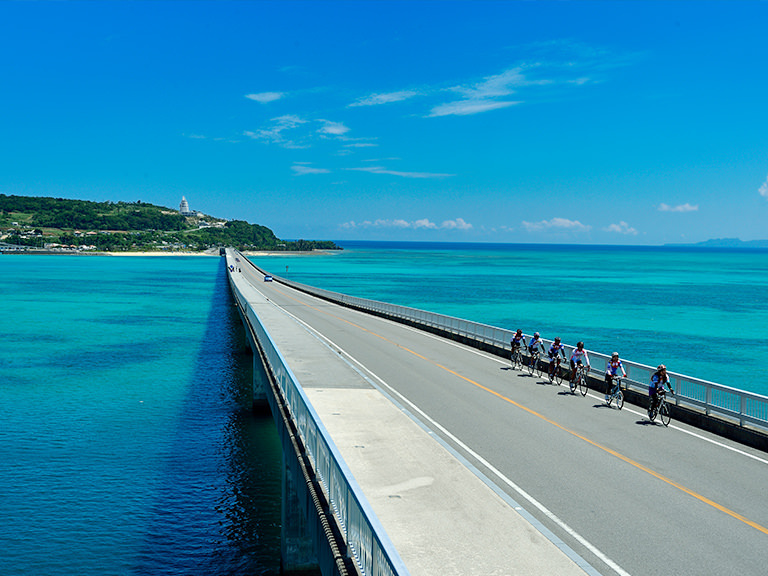 The hotel also provides cycling tours to have you discover Okinawa with the help of a guide! 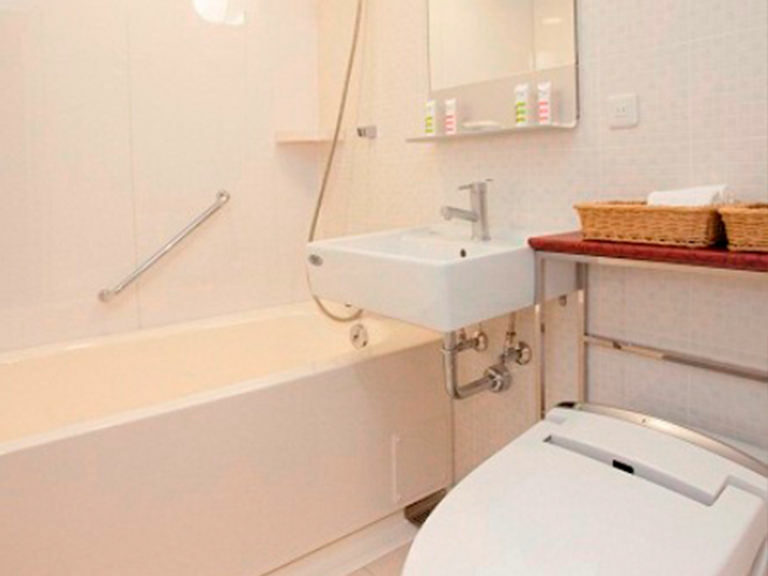 If you enjoy having your own space and privacy, Hotel Nikko Alivila is the one for you. The name of the hotel, Alivila is telling of what it promises: in Spanish, the word Alivio means relaxation and villa means country house. 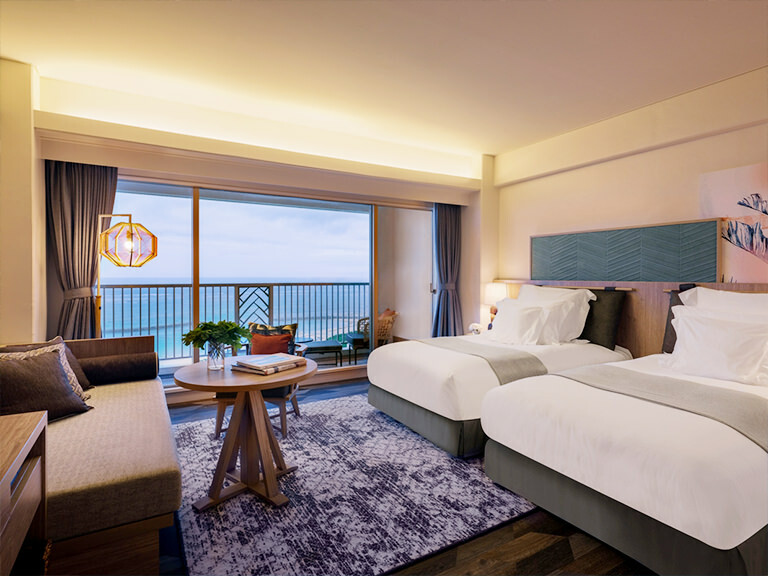 The guest rooms are spacious and come with balconies that face the ocean, and views of Okinawa’s gorgeous natural landscapes. 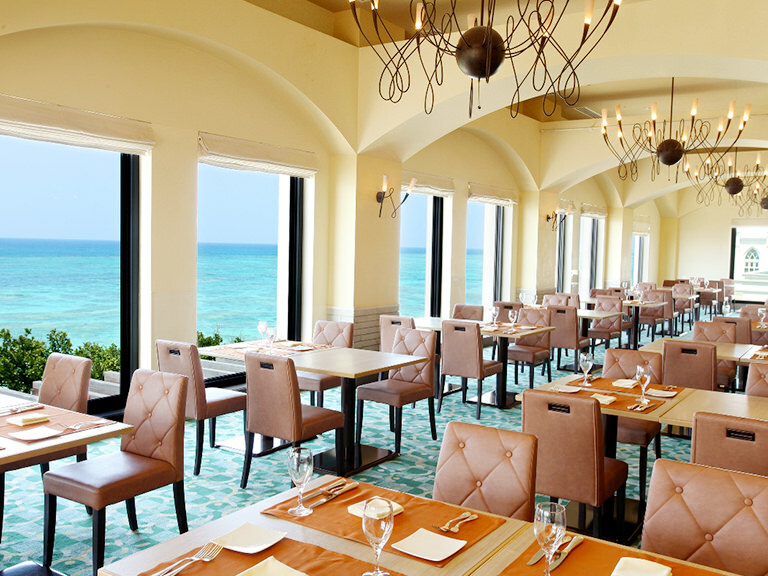 The restaurants and lounge areas at the hotel are also comfortable spaces where you can take in and enjoy Okinawa at your own pace. 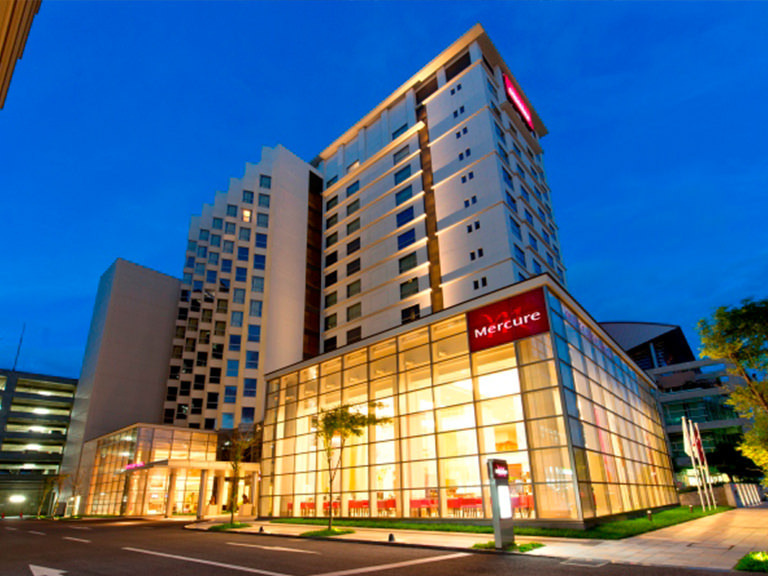 Style and convenience are the two keywords to describe Mercure Okinawa Naha. 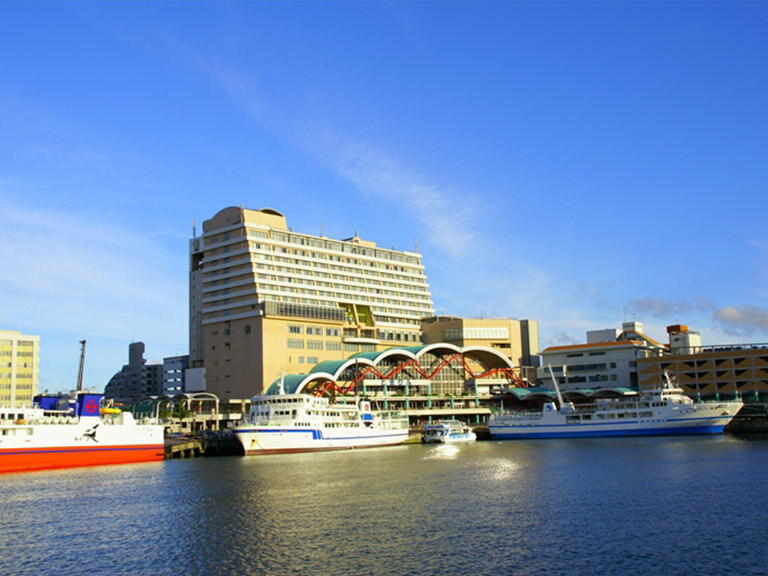 Located on the main island of Okinawa, right in front of the Tsubogawa Mono Rail station, city’s attractions are easily accessible. 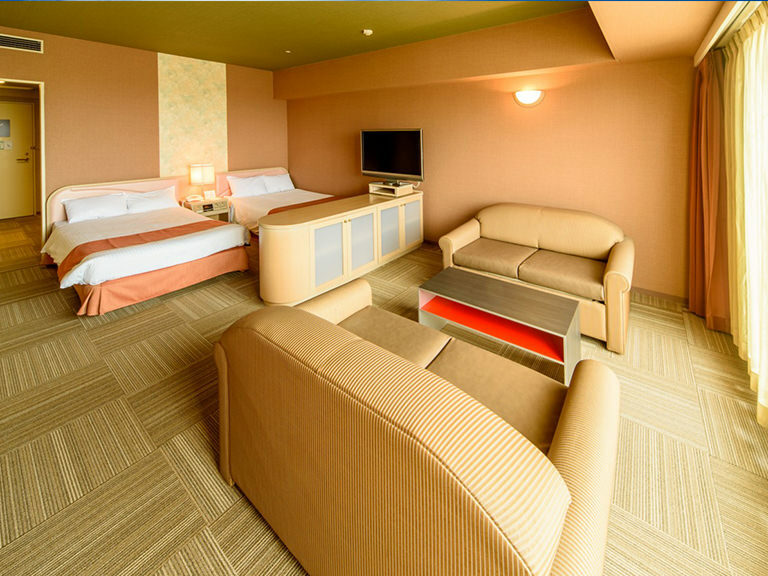 It’s easy to get to from the airport too, just 10 minutes by car from Naha airport. 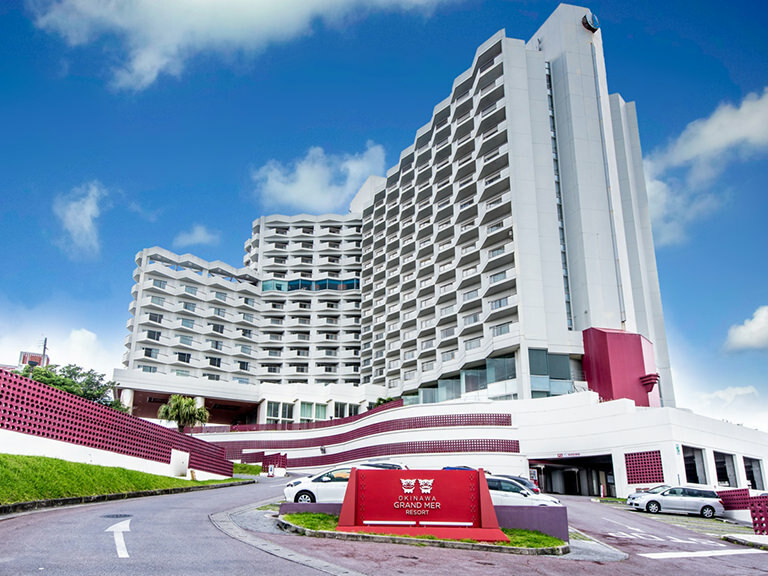 The hotel was designed by a French designer, bringing together the French taste with the culture of Okinawa. 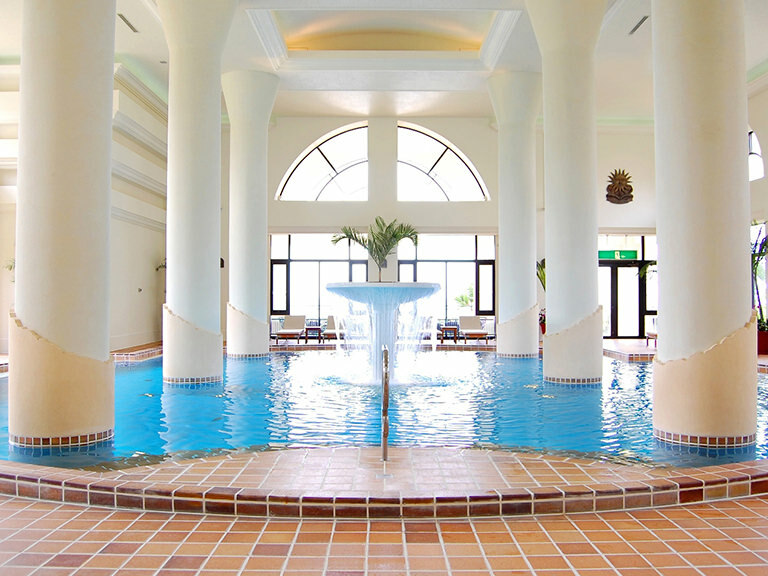 Located alongside the beautiful Maesato Beach on the Ishigaki Island, the ANA InterContinental Ishigaki Resort is a place of relaxation and adventure. 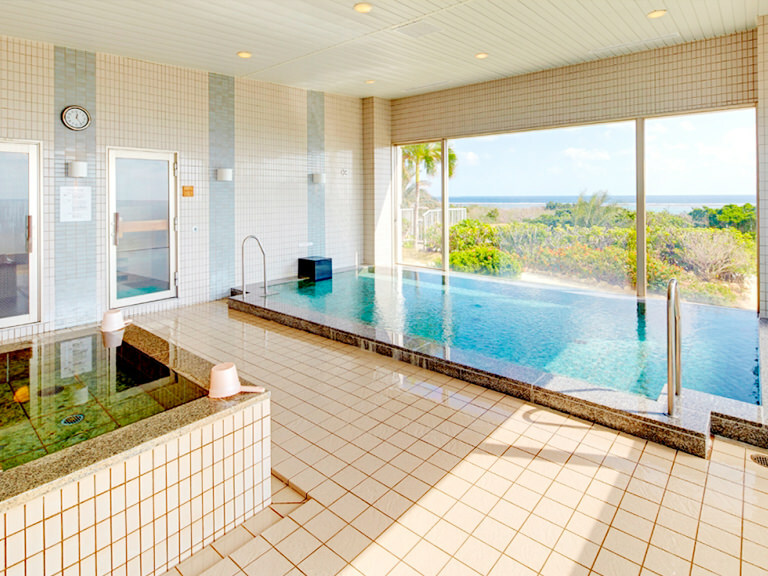 Easily accessible from Ishigaki Airport and the rest of the island, this will make for a luxurious home base for your island holiday. 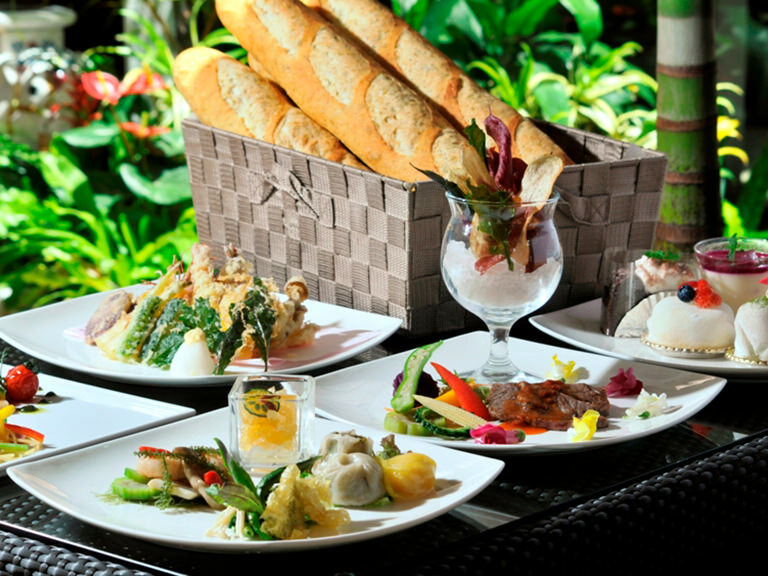 Enjoy the island’s many offerings from here, starting with exploring the coral reefs off the coast, the unique local food and people. 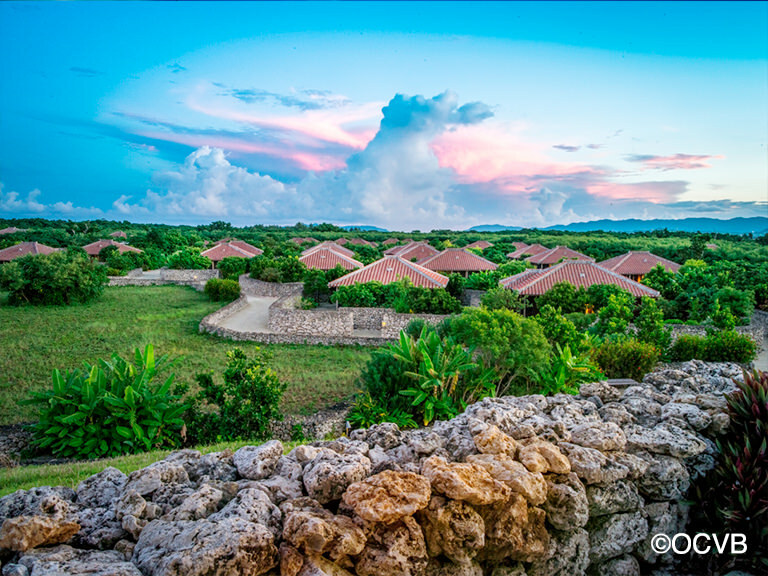 A cozy hotel of 50 guest rooms that stand tall amongst sugarcane fields on Ishigaki Island. 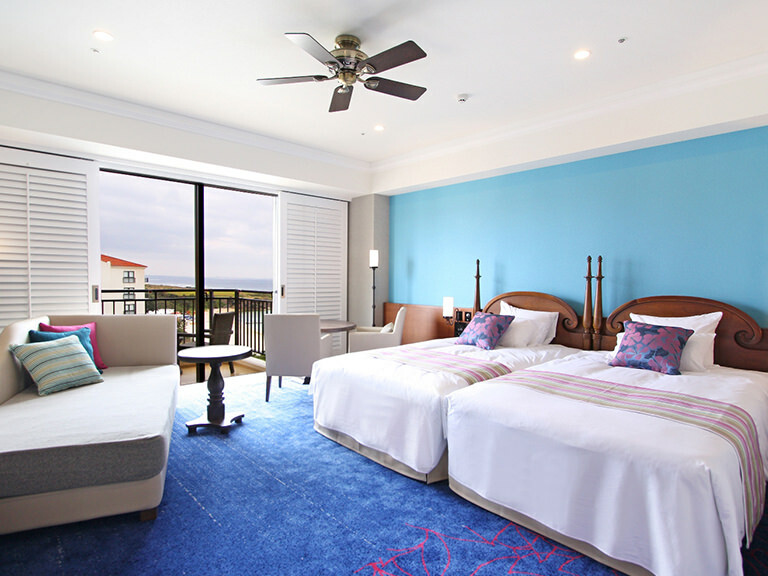 A truly relaxing, island atmosphere awaits you here – from lounging poolside under the bright Okinawan sun, taking an afternoon stroll through the sugarcane fields, to looking up to the starry sky in the evening. 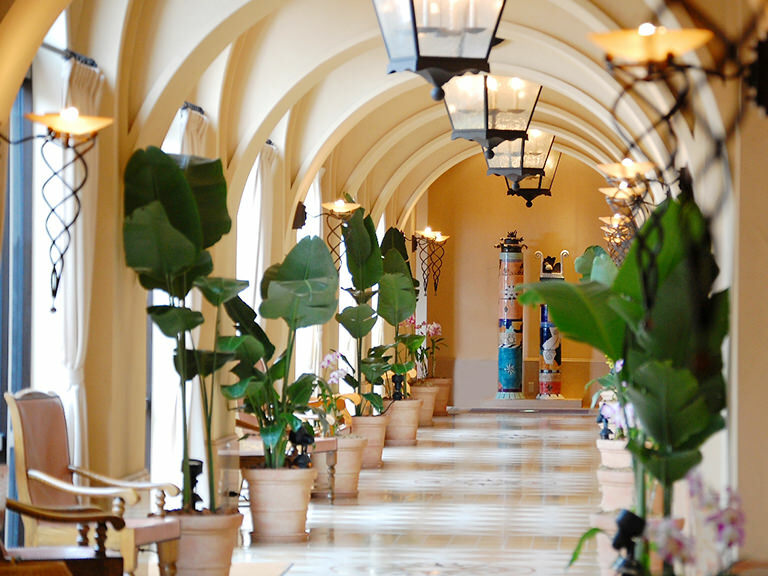 This place will have you immersed in luxury with their service, healthy food and atmosphere. 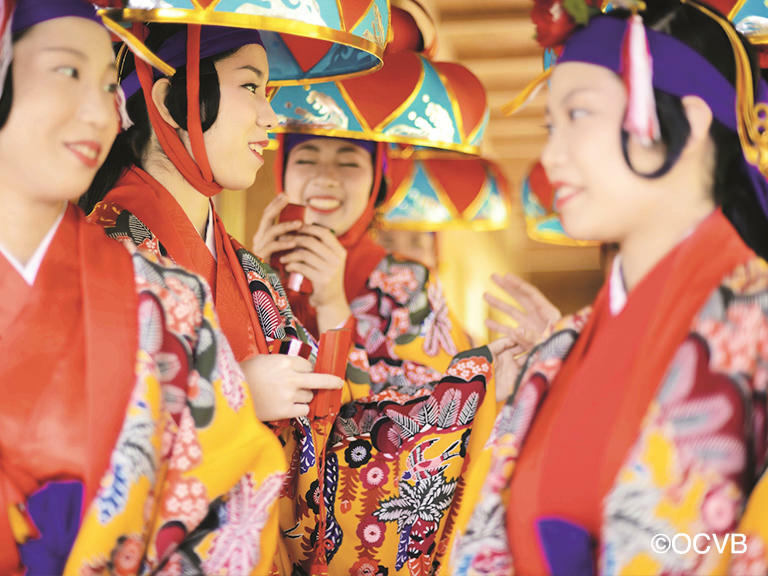 At Experience Japan, we are able to provide you with the firsthand knowledge of what to see and do. 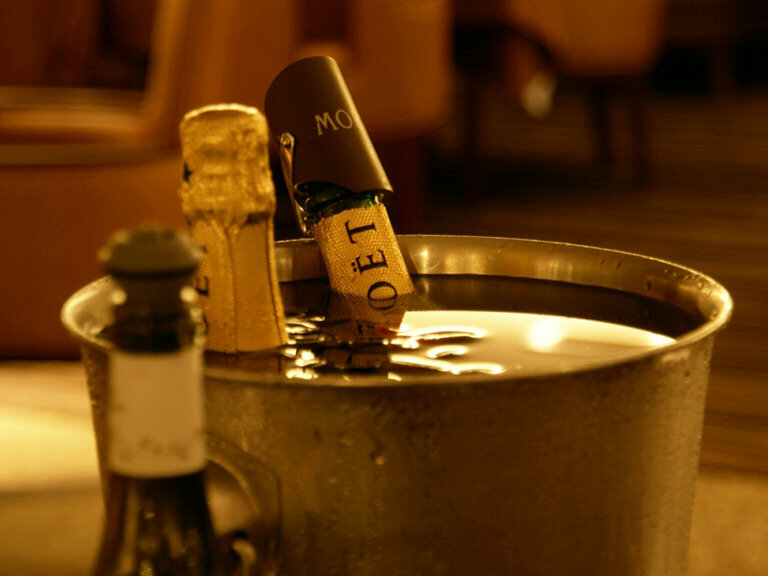 Let us share our passion for this great destination with you! 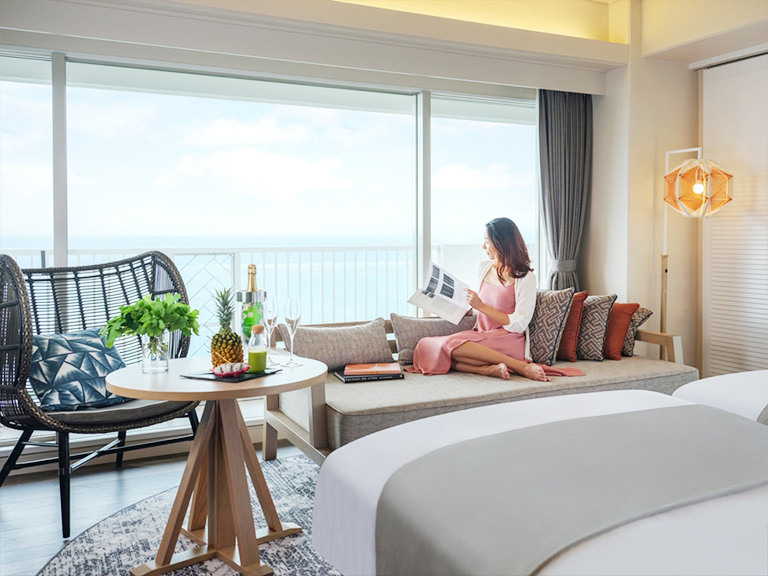 Check out all the fun you can have in Okinawa below and select what you would like to experience in the questionnaire below. You will need to rate each experience on a sale of 1 to 5; 5 being what you want to most experience, 4 is something you’d like to experience, 3 being neutral, 2 is for something you’re not interested in and 1 being something you don’t want to experience. Farm stay with the locals! There’s no better way to get to know what island life is like for the people of Okinawa than to actually get amongst them. 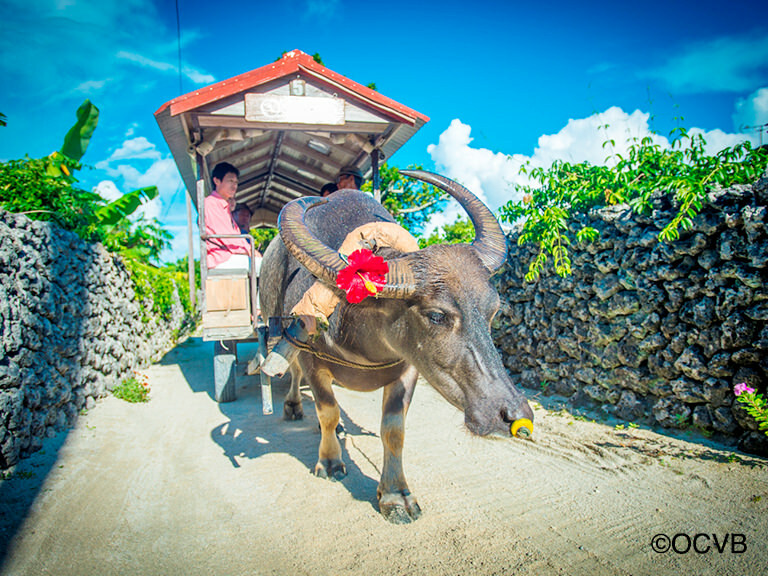 So, why not do a farm stay to live like a local and see Okinawa from their point of view? You can also just participate in experiences led by local residents for the day, such as farm work, cooking or even creating flower arrangements. This will certainly have you feeling like you belong in Okinawa in no time. Season: You can book in for a farm stay all year around. 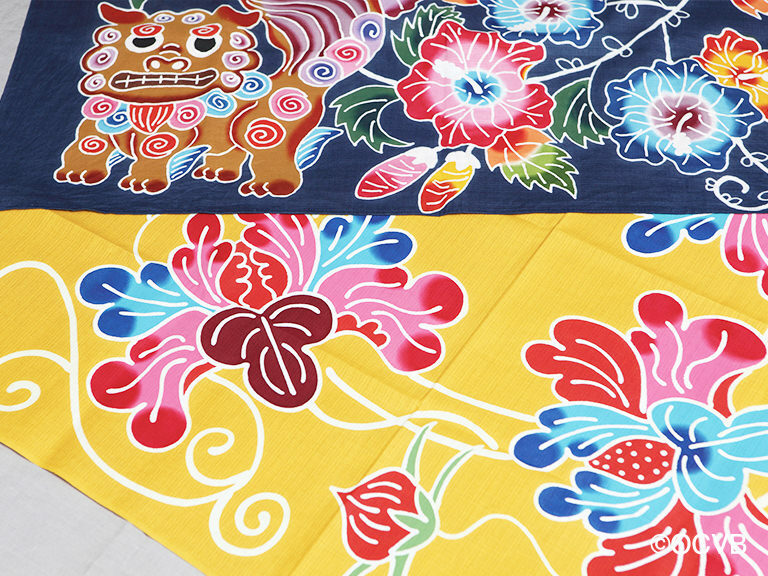 The traditional garbs of Okinawa are brightly coloured and feature gorgeous prints. There are several ways to create such beautiful textiles. One is the Bingata dyeing, where vivid coloured vegetable dye is used to paint pretty pictures for the print. Another form of dyeing textile utilises fossilised coral as the dye – a completely unique technique to Shuri-Ryusen on the main island. 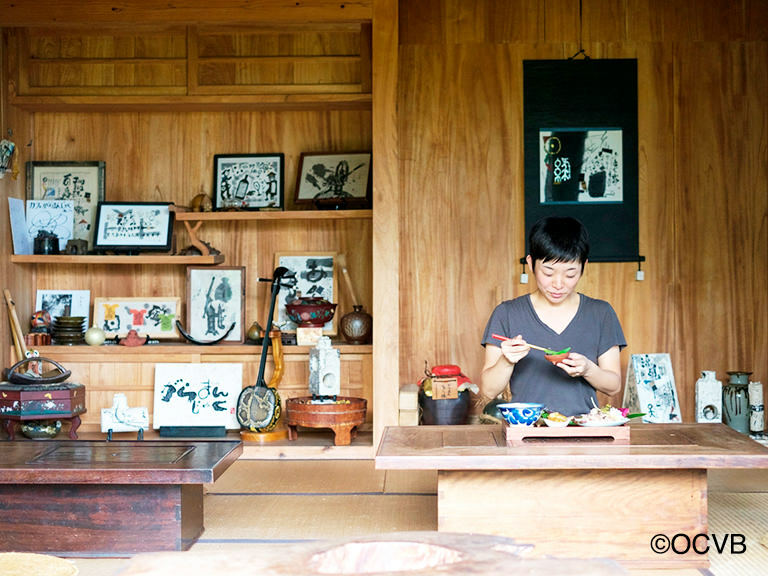 You can experience all of the above at Shuri-Ryusen and what’s great is that you get to take home your own original piece of Okinawan textile! 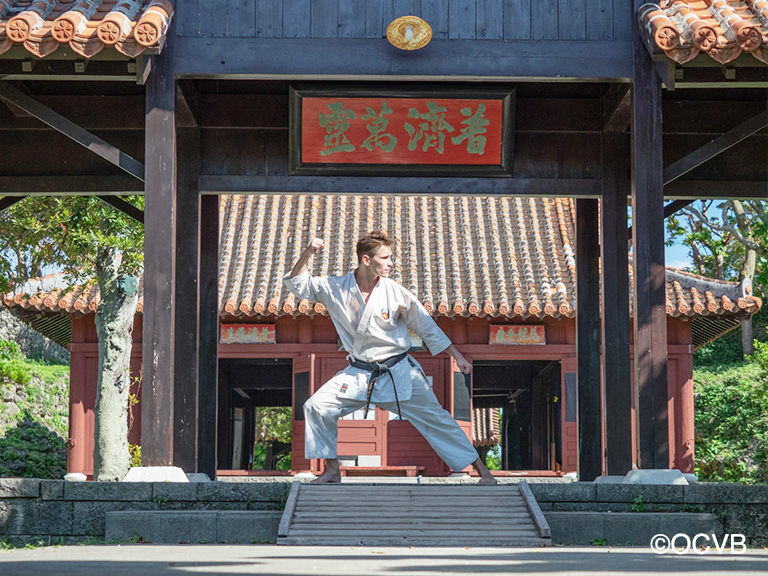 Did you know that Karate was born in Okinawa? What a truly unique experience it would be to visit a subtropical island and come home with some new martial art skills? 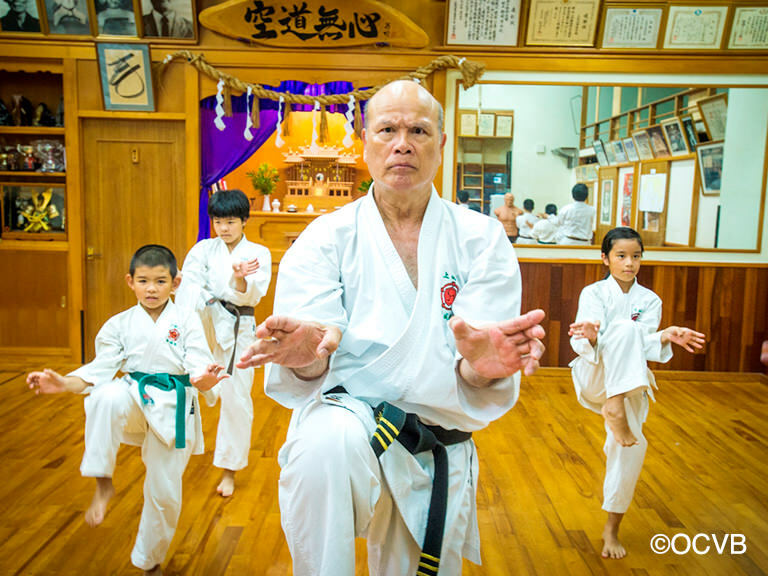 Learn various forms of Karate and Kobudo that were created in Okinawa to connect to the spirit of the ancient Okinawan warriors. 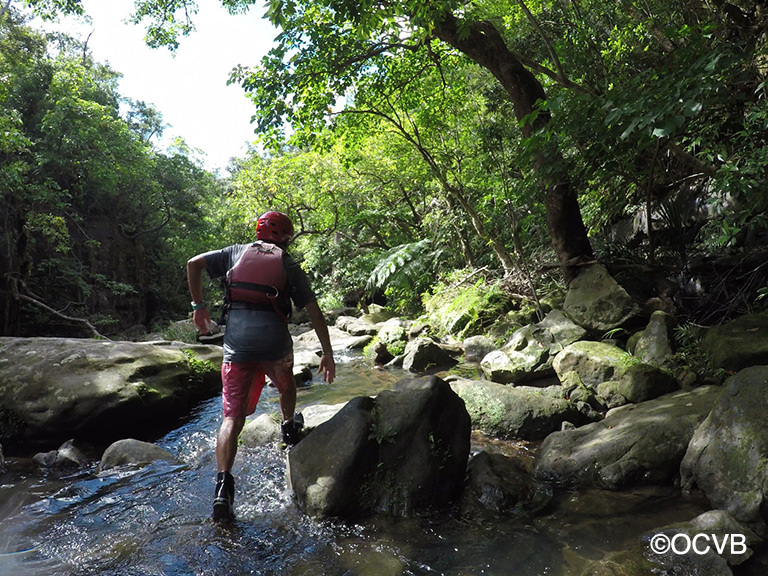 For those fitness conscious travellers, this is a great way to keep up your fitness whilst travelling in Okinawa! Okinawa was once a completely separate country to Japan, known as the Ryukyu Kingdom. Naturally, the style of architecture at historic sites here are different those on the mainland, Japan. 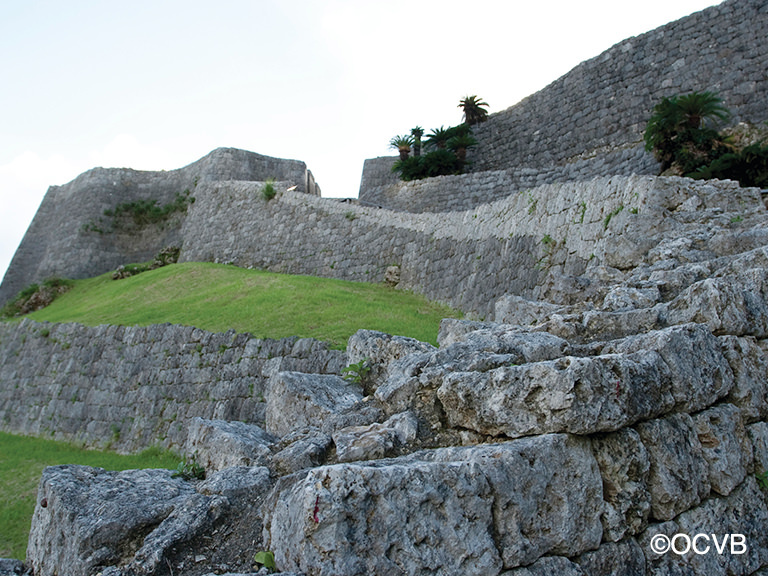 Currently, there are nine UNESCO’s World Heritage sites in Okinawa, including the Shurijo Castle, other castle remains as well as sites like Shikinaen Royal Gardens. 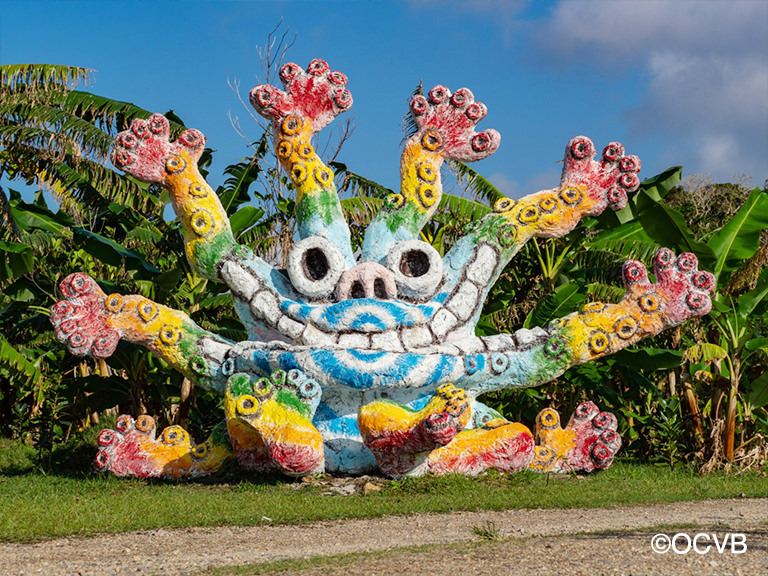 Visiting these locations will be a great way to understand Okinawa’s history and culture on a deeper level. 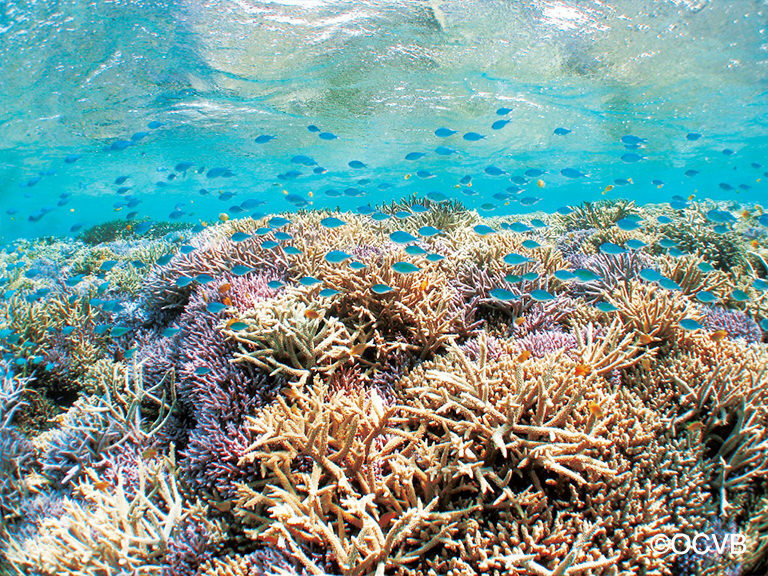 Okinawa’s waters are known for its crystal clear beauty and for being abundant in marine life. 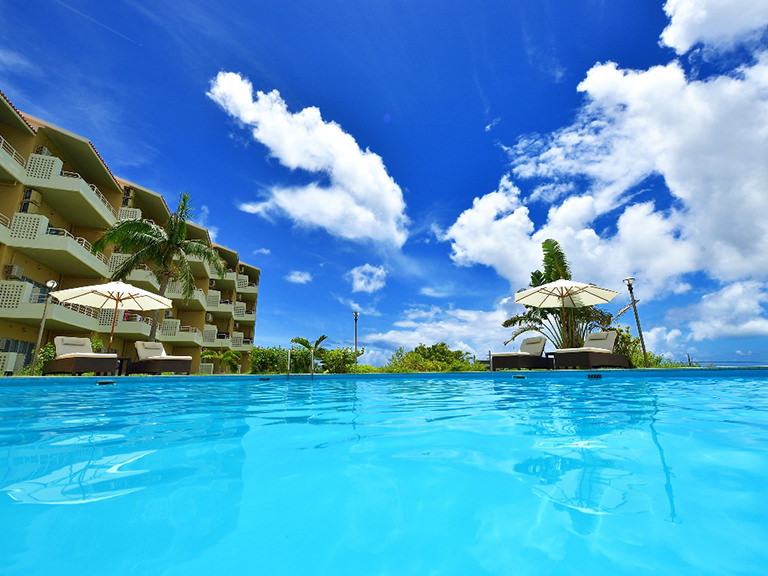 Imagine swimming at gorgeous Okinawan beaches and amongst beautiful coral reefs and subtropical fish. 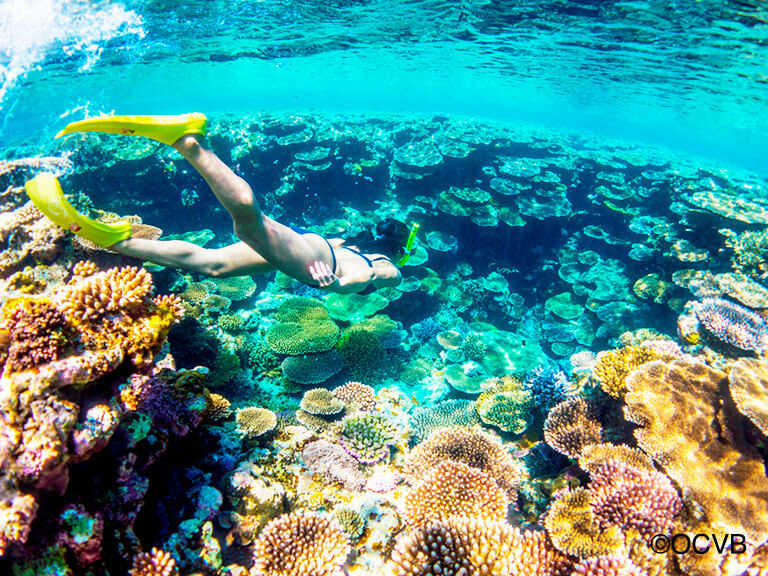 One of the most famous snorkelling spots is Hatenohama on Kume Island, which stretches over 7 kilometres where you can meet the real life Nemo. The mystical ‘blue cave’ at Cape Maeda on the main island is also a must-visit spot for snorkelers. The sunlight hitting the rocks down below creates a mystical blue, underwater scenery you’ve got to see to believe. There are several top notch diving spots off the coast of Okinawa and its islands, including the Kerama Islands. The water surrounding the islands is known for high water transparency, coral, white sandy soil and unique topography that’s unlike anywhere else in the world. 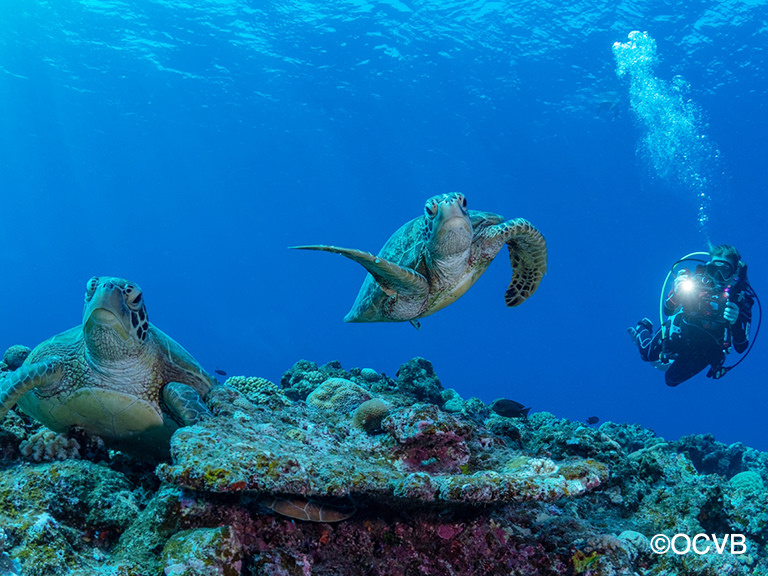 The waters of Okinawa is also warm and this attracts many sea turtles, manta rays and hammerhead sharks, which in turn attracts divers from all over the world. Also famous for diving are Miyako Island and the mystical Yonaguni Island, where you can dive amongst underwater ancient ruins. 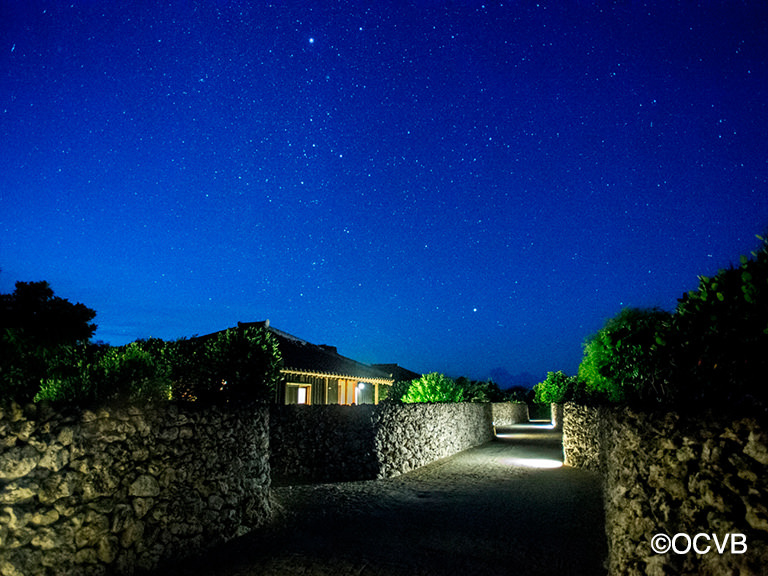 On the northern part of the main island of Okinawa is an area known as ‘Yanbaru’. Centred around this area are many nature spots where you can experience Okinawa’s own unique natural landscapes, faunas and floras. 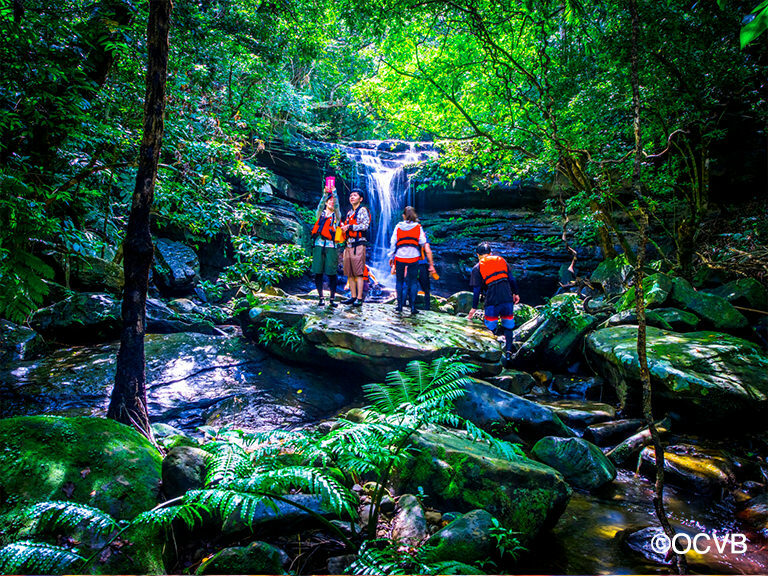 Exploring these mystical and gorgeous locations are done best on foot and there are many walking and trekking tours available here. 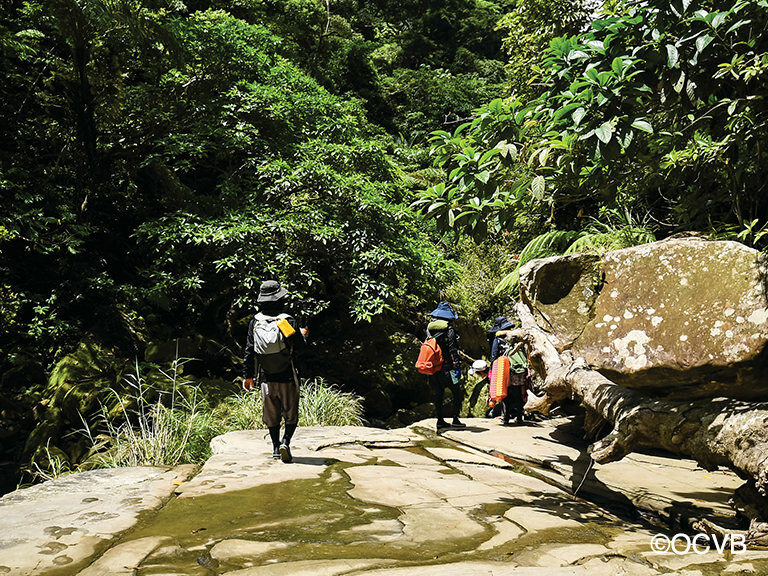 You can also visit the subtropical jungle of Iriomote Island. The island is 90% jungle and it is protected as national park so this is great place for serious trekkers and nature lovers. 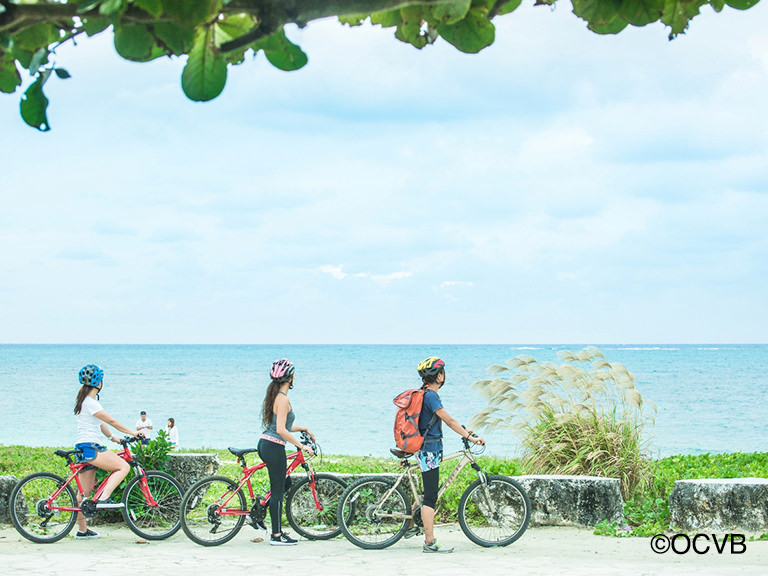 One of the best ways to explore the beautiful landscapes and townscapes of Okinawa is on a bicycle! They call it ‘pottering’ rather than cycling, as you can go at your own pace, potter about while taking in the view, and it’s less physically straining than normal cycling tours. 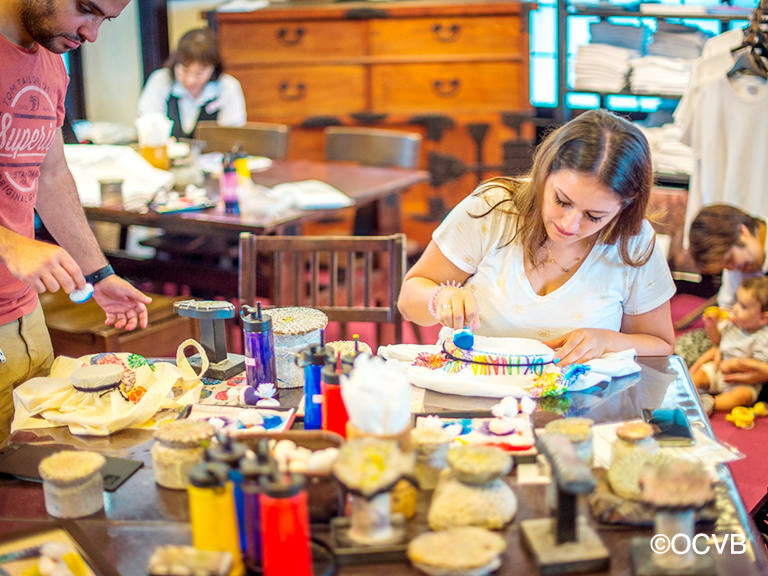 There are several tours you can participate, depending on your abilities. 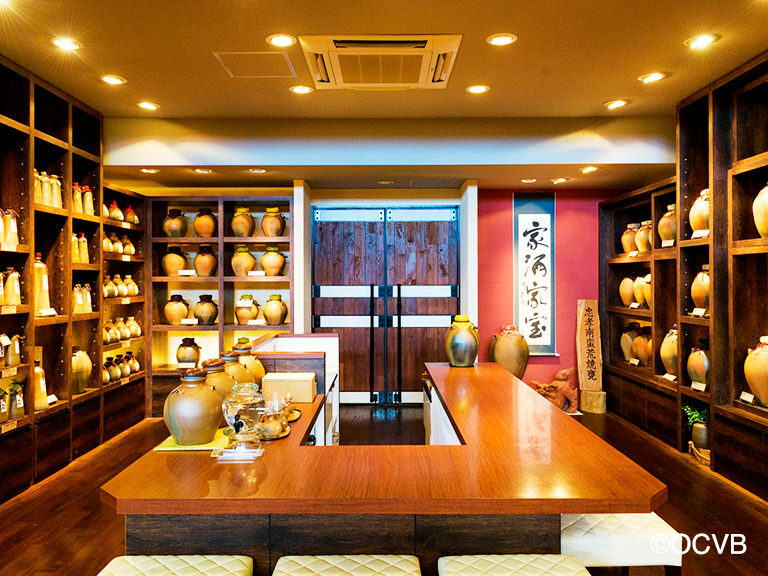 Some tours include exploring Okinawan gourmet, where others will take you to must-see spots on the island. 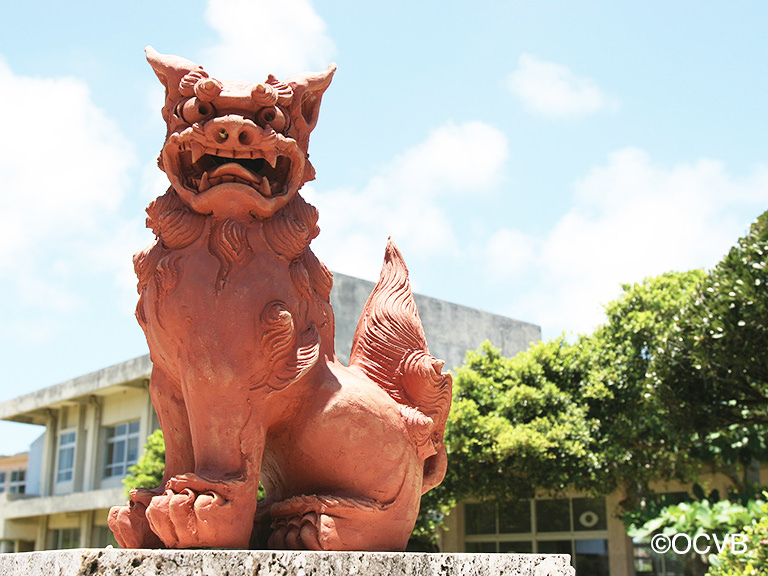 Okinawa is made up of approximately 160 or so islands. Some are occupied but many are completely deserted. Most of these are accessible by boat and ferry services, and some by plane. What you can expect from all of these islands, whether occupied or not, are beautiful and rich landscapes, comfortable temperature and a relaxed atmosphere. 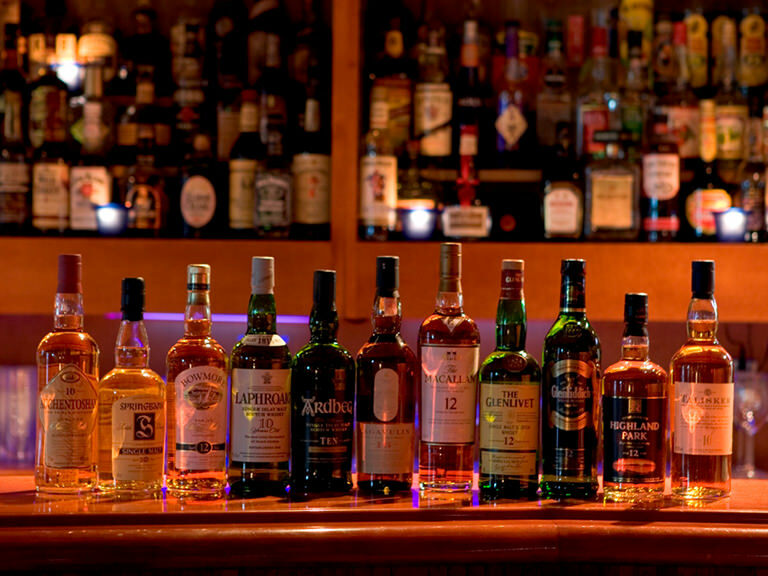 However, we all have different tastes and needs. 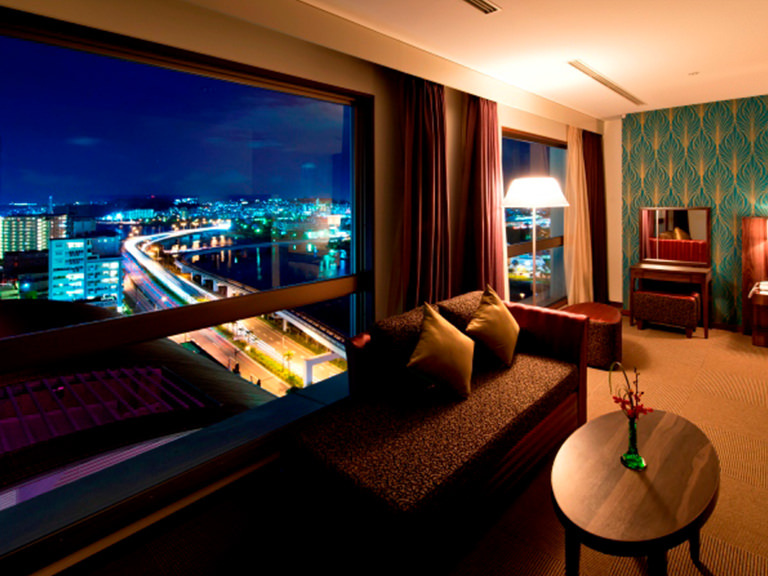 The best way to ensure you find the right place for you is by island hopping these many islands and exploring different sides of Okinawa first hand. 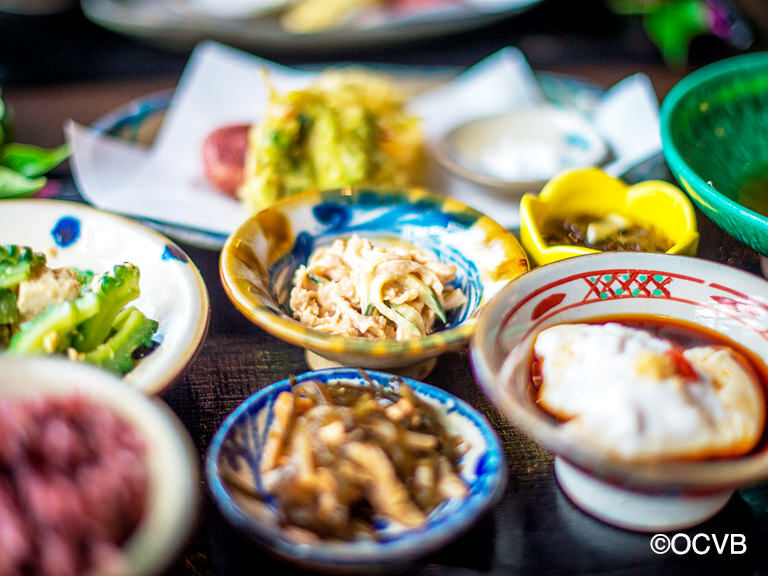 Okinawans love to be merry with plenty of delicious food and booze, just like Australians. 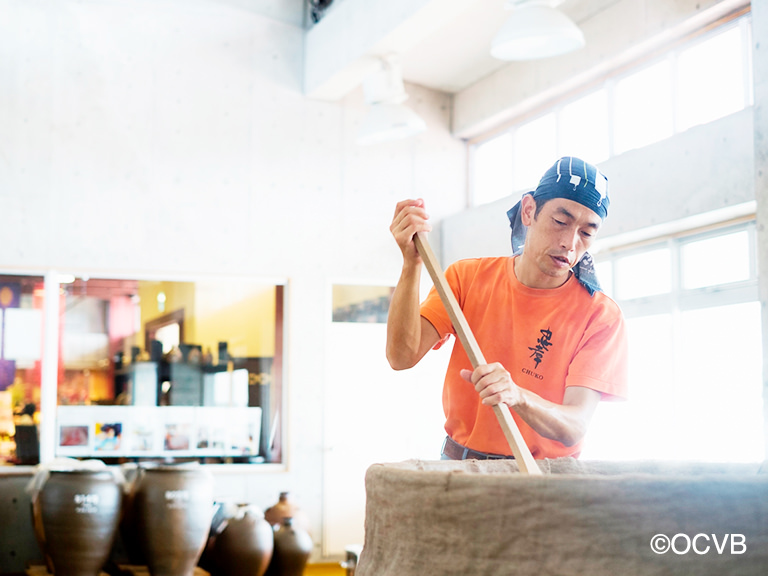 Okinawa has its own type of sake, the Awamori, which is made with black rice malt rather than the type of rice malt used for Japanese sake. 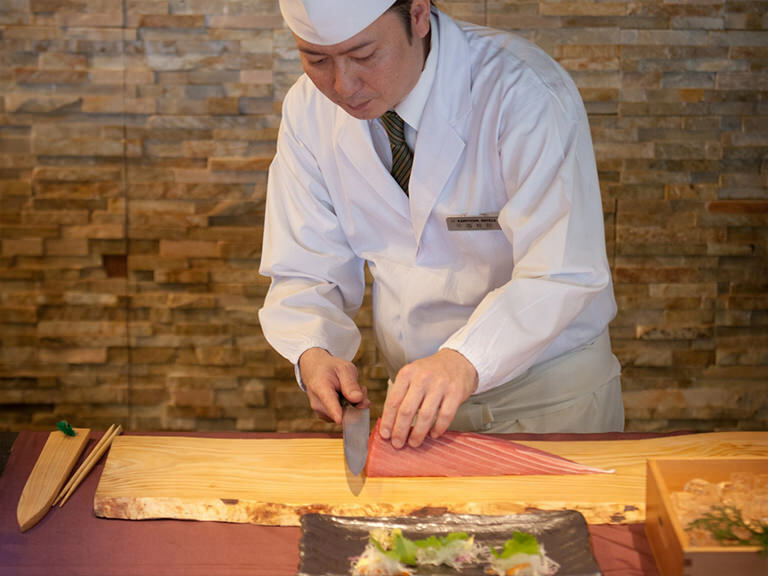 Awamori is also used in Okinawan cooking and it pairs well with the island’s many delicious dishes. The flavoursome Awamori is loved by the locals and can be enjoyed in a cocktail, on the rocks or mixed with water. Why not challenge yourself and learn something new and practical during your tropical holiday? 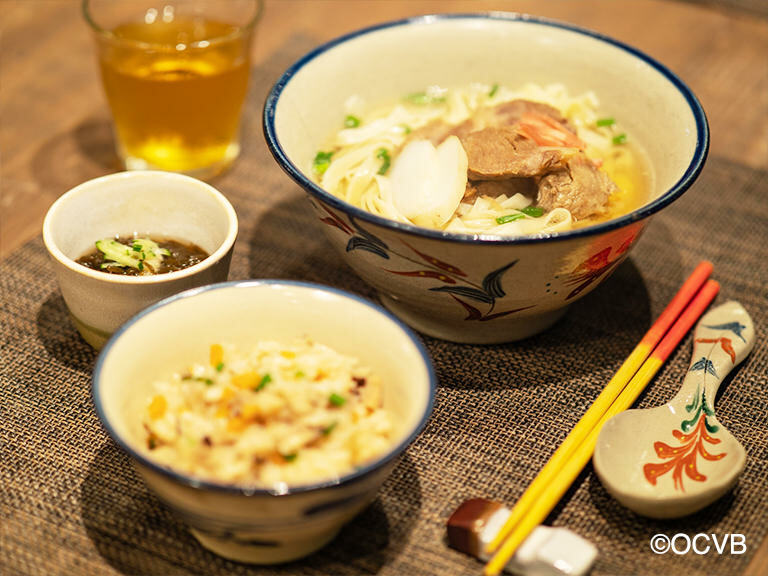 A great way to experience Okinawa’s food culture is by learning how to cook the foods of the land! The cooking class begins from buying supplies at Okinawa’s most famous food market, the Makishi Public Market. 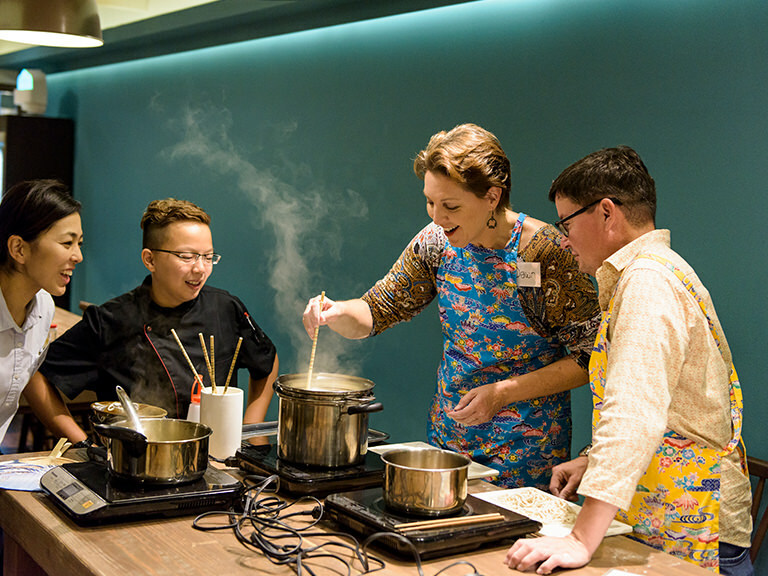 So the class is very hands-on and will teach you everything you need to know about Okinawan food; from choosing the produce, to prepping and cooking. 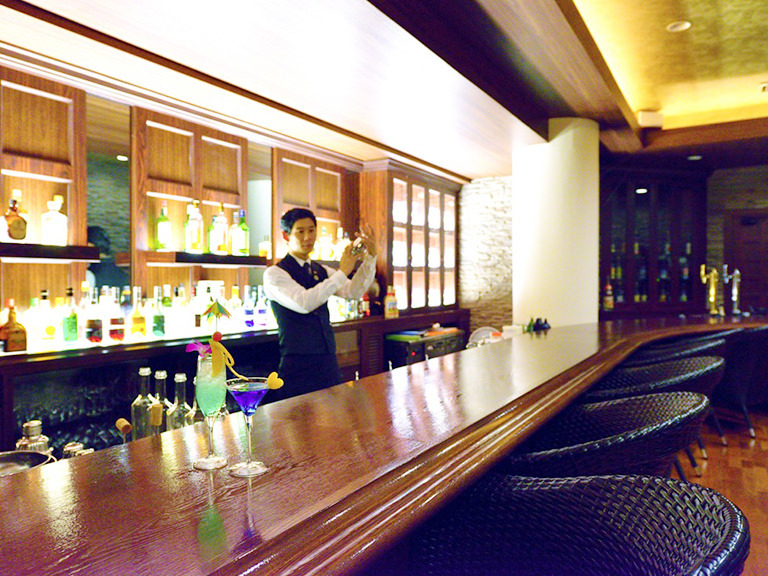 The longevity of the people of Okinawa are world famous. 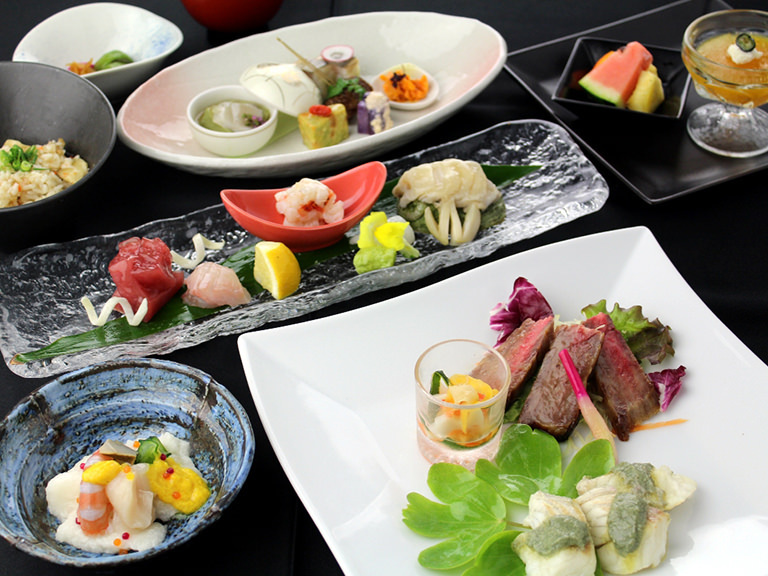 It is said by experts and the locals that the very reason of their long, full lives come from the food of Okinawa. 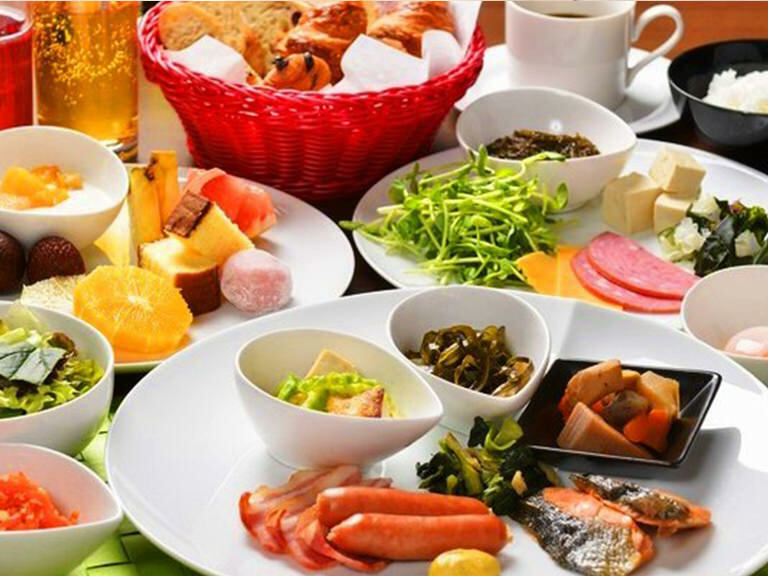 The people of Okinawa has always had a very positive and harmonious relationship with nature and therefore with produce. The beautiful climate and natural, healthy soil of the land has continued to produce vegetables packed with minerals and nutrients. The locals take care of their land, therefore their food and that synergy is what becomes the life-force of the Okinawan people. Who wouldn’t want a taste of that? COMPLETE THE SURVEY BELOW TO ENTER! 1. 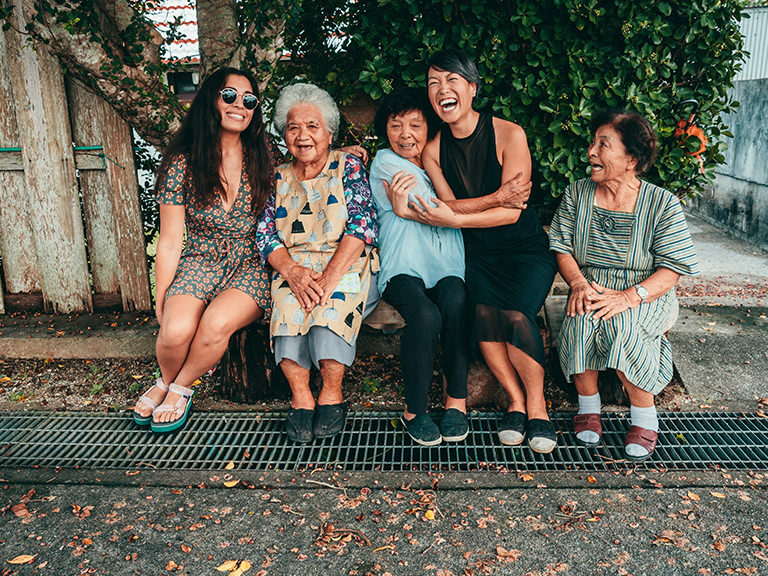 Entry to the “Win and travel the island of Okinawa” prize draw (the “Promotion”) is limited to residents of Australia aged 18 years or over, and anyone professionally connected with it is excluded from entering. 2. The Promotion is run by JAMS.TV PTY LTD, Suite 3704, Level 37, 1 Macquarie Place, Sydney NSW 2000, phone (02) 9252 6307 (the “Promoter”). 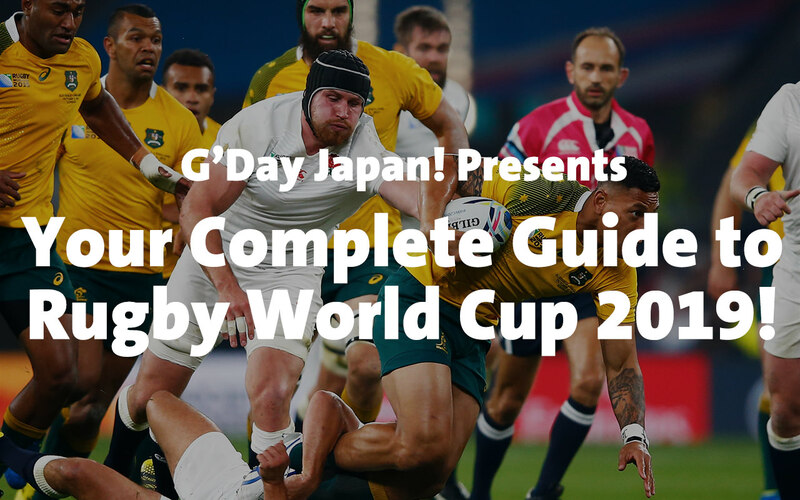 All enquiries regarding the Promotion should be emailed to info@gdayjapan.com.au. 3. 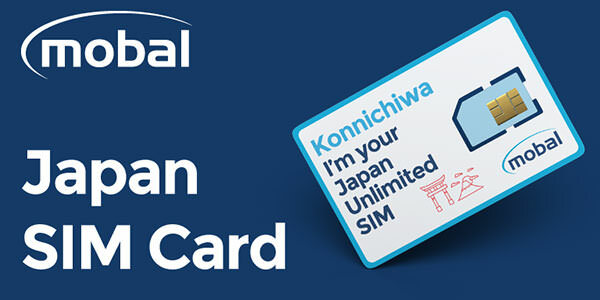 The Promotion begins at 12:00 (AEST) on February 11th, 2019, and ends at 12:00 (AEST) noon on March 11, 2019, and entrants must complete and submit the survey form available on the G’Day Japan website at https://www.gdayjapan.com.au/ by then to be eligible for the prize draw. 4. Submission of an entry constitutes an acceptance of these Terms and Conditions. 6. No responsibility is accepted for late, lost, or misdirected entries. All entries become the property of the Promoter. 7. Incomplete, indecipherable or illegible entry forms will be deemed invalid. 8. The Promoter reserves the right, at any time, to verify the validity of entries and entrants and to disqualify any entrant who submits an entry that is not in accordance with these Terms and Conditions. 9. 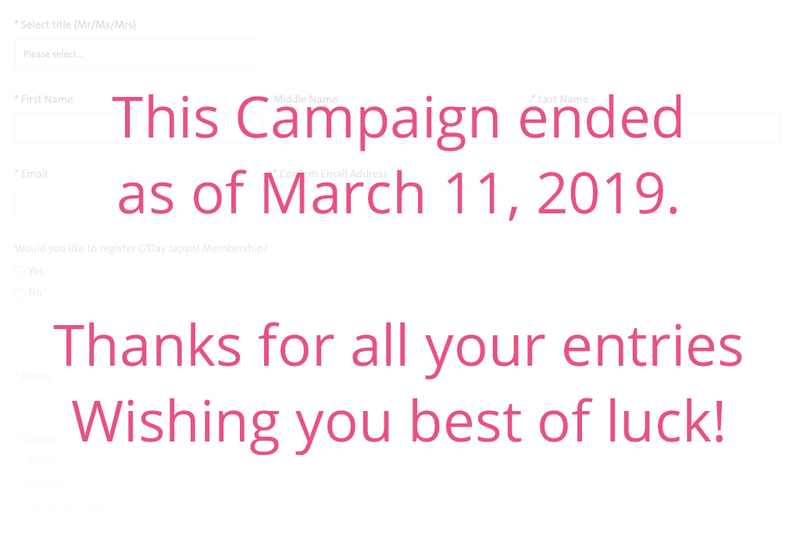 The winners will be drawn at random by the close of business on March 20th, 2019 at Suite 3704, Level 37, 1 Macquarie Place, Sydney NSW 2000. 10. 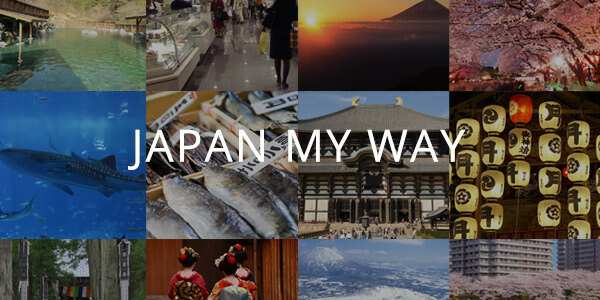 Total value of the prize pool is $4,000.00, which includes return airfares from Sydney or Melbourne to Tokyo, return domestic flights between Tokyo and Okinawa, and 4 nights accommodation for two people to be won by a total of ONE winner. 11. Winners may claim their prizes through the following methods: i) Requesting delivery by mail to a preferred postal address in Australia, or ii) Claiming in person from Suite 3704, Level 37, Gateway, 1 Macquarie Place, Sydney NSW 2000. 12. Entrants are eligible to win a maximum of one prize from the total prize pool. 13. Prize winners do not have to be present at the time or place of the prize draw. 14. The Promoter will take reasonable endeavours to announce winners by publishing their names and state on the G’Day Japan website within 3 months of them being drawn. The Promoter does not accept responsibility for the inability to make contact with a prize winner within a reasonable time after the end of the Promotion, in which case another winner will be selected and notified as set forth in these Terms and Conditions. 15. The Promoter’s decision as to the winners of the prizes will be final and binding and no correspondence will be entered into in relation to the conduct of the Promotion or otherwise. 16. The Prizes are not transferable, refundable or exchangeable and cannot be taken as cash. 17. If a prize is unavailable, the Promoter, in its absolute discretion, reserves the right to substitute the prize with a prize to the equal value and/or specification. 18. The Promoter will not be held responsible for the loss, theft or damage to any prize after it has been awarded. 19. The Promoter reserves the right at any time to verify the eligibility and identity of any participant and to disqualify any participant who does not comply strictly with these Terms and Conditions. 21. Each participant indemnifies and keeps indemnified the Promoter against all claims, losses, damages and expenses suffered by the Promoter or any third parties arising out of the breach of these Terms and Conditions by the participant, the conduct of the participant in the Promotion or the use of a prize. (b) subject to any written directions from a regulatory authority, to modify, suspend, terminate or cancel the Promotion, as appropriate. 23. Under the Privacy and Personal Information Protection Act 1998 (NSW), the Promoter must tell participants when it collects personal information about them and how it plans to use it. If a participant chooses to enter or take part in the Promotion, the participant will be required to provide the Promoter with personal information including but not limited to the participant’s name, phone number and email. The Promoter collects participants’ personal information in order to conduct the Promotion. 24. A request to access, update or correct any information should be directed to the Promoter through info@gdayjapan.com.au. If the participant would prefer that the Promoter does not use the participant’s details in the way outlined in these Terms and Conditions the participant should contact the Promoter. 25. 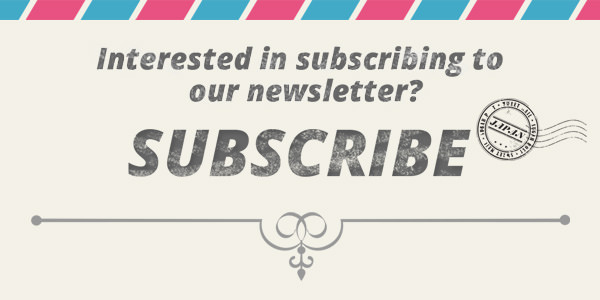 Entrants may receive email communication to the email address used to register from the Promoter. This may include promotional emails from the Promoter and any other communication will only come from the Promoter. Competitions – Find the best Australian Competitions brought together all in one spot. 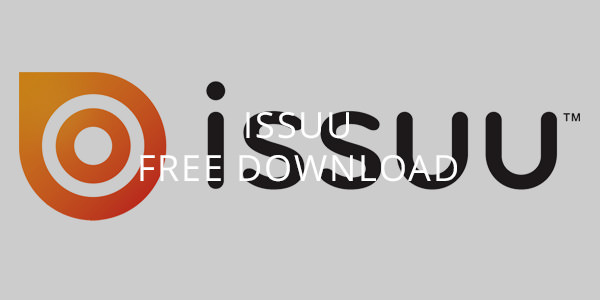 It’s free and updated daily!